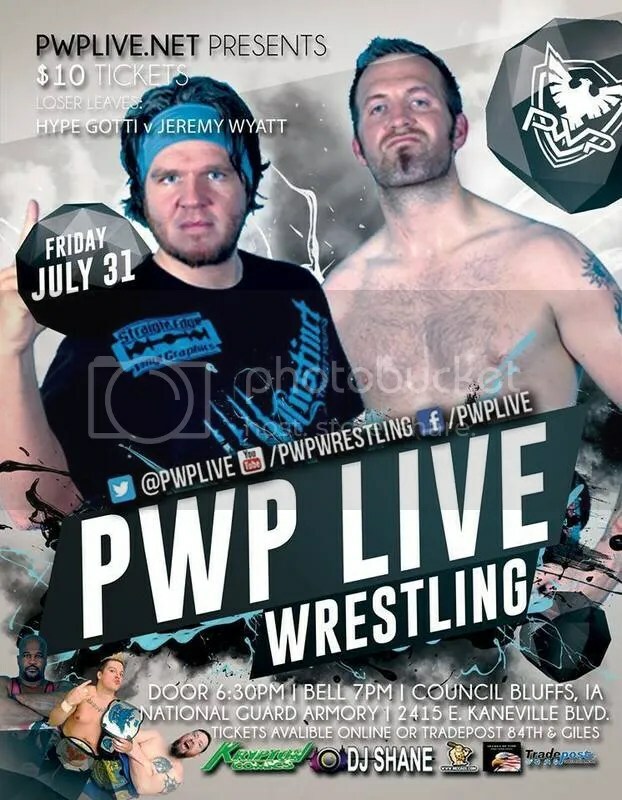 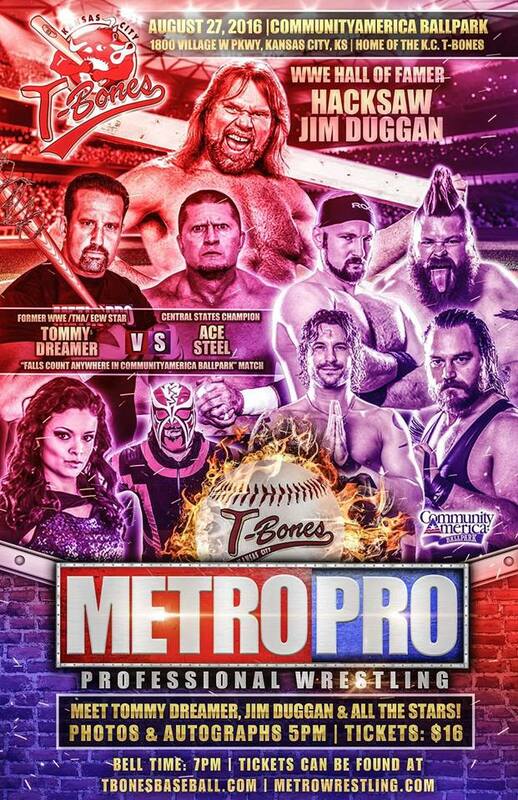 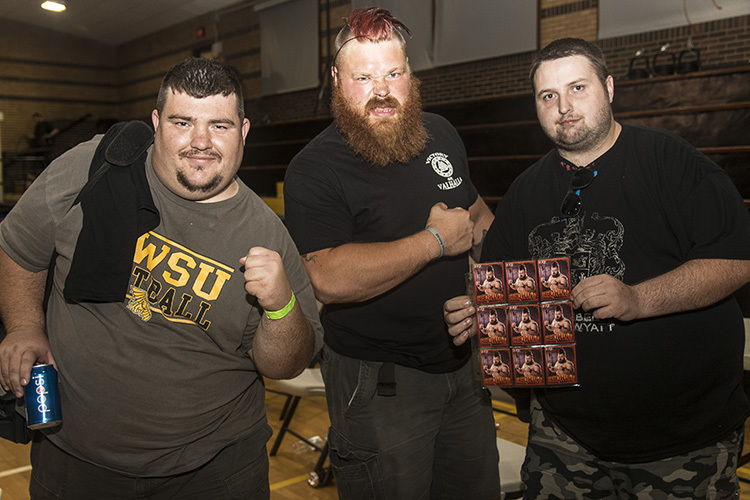 PWP fans, on Friday July 31st we return to the National Guard Armory in Council Bluffs Iowa… and the stakes have never been higher!! 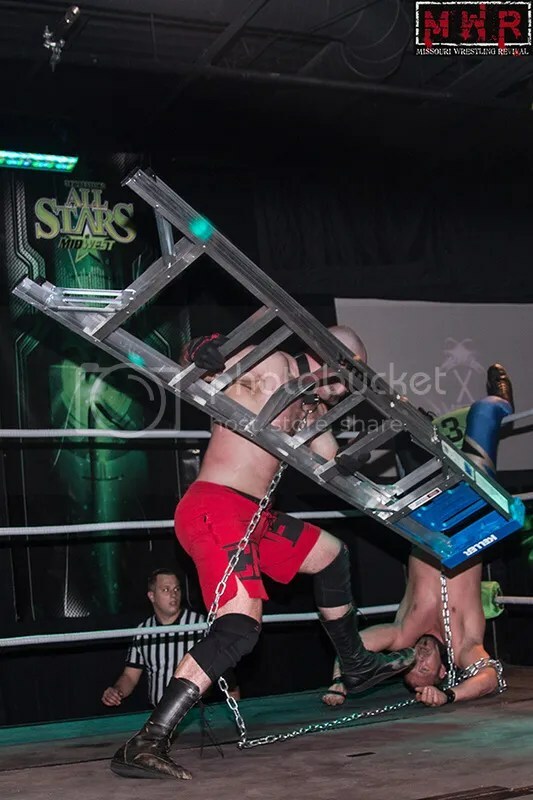 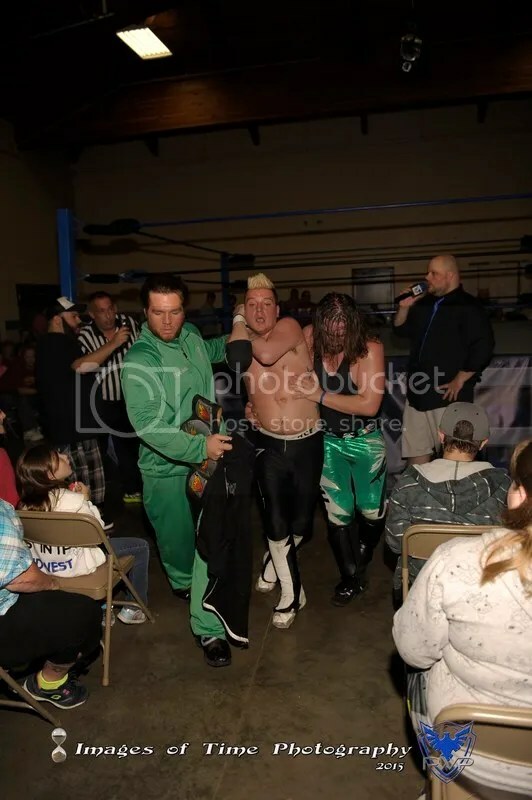 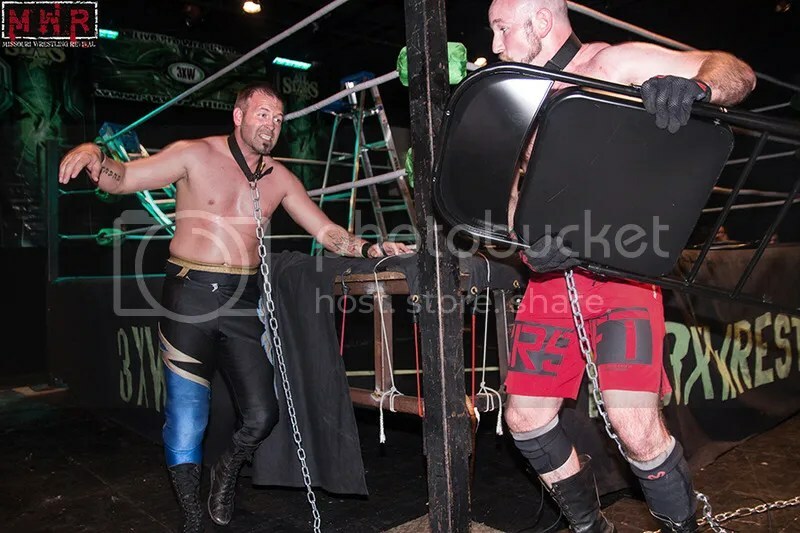 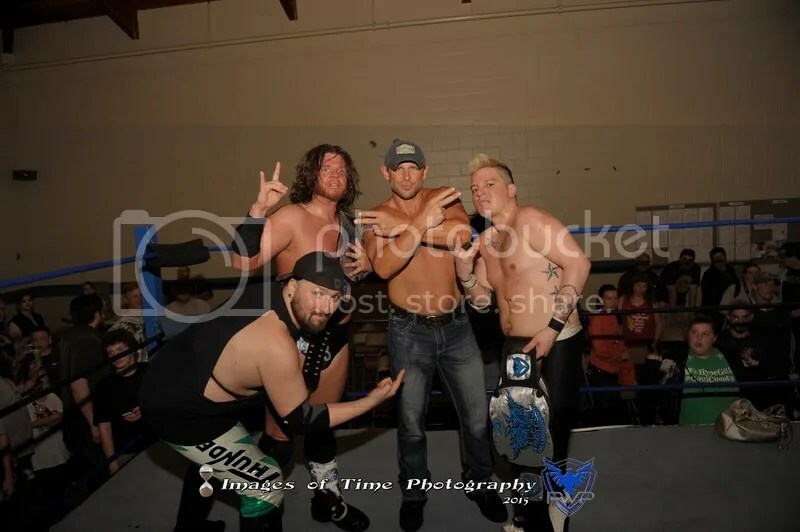 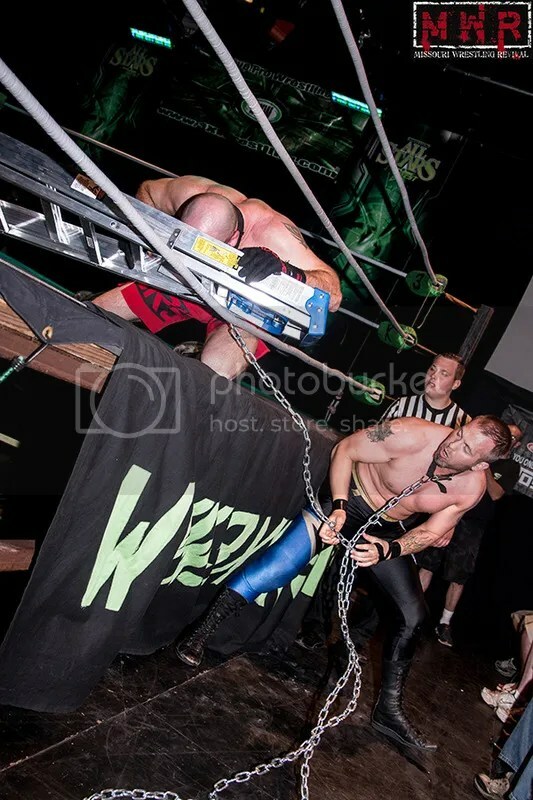 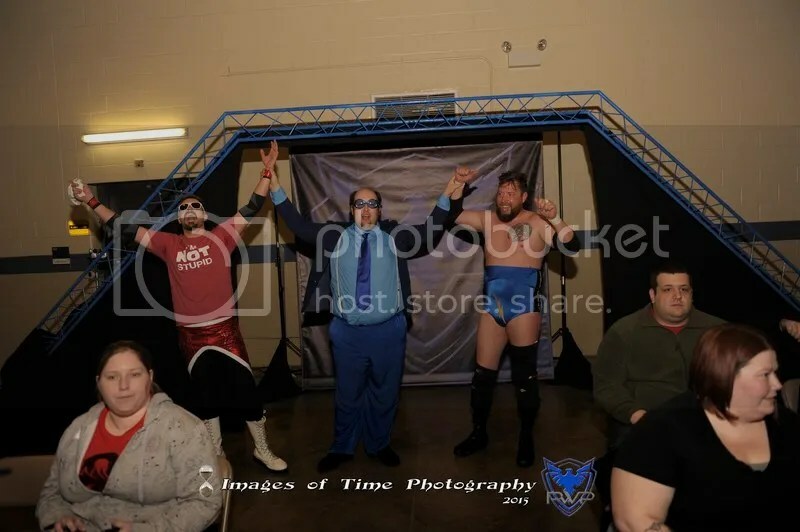 After an amazing main event in May that saw Simply the Best win the PWP Tag Team Championship from Jeremy Wyatt & Mark Sterling, Wyatt challenged long time rival Hype Gotti to a Loser Leaves PWP match!! 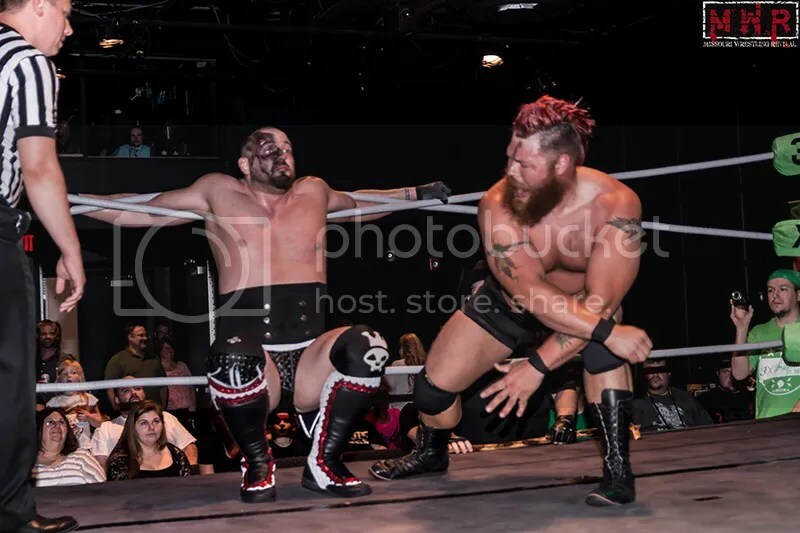 Wyatt wants Hype Gotti gone for good, and made the challenge. 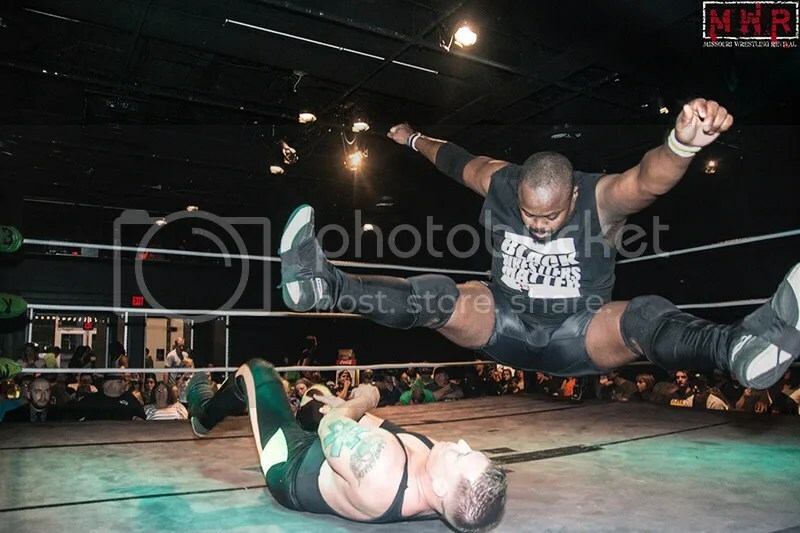 Hype Gotti is known as a gambling man, willing to take risks when it comes to glory in the ring. 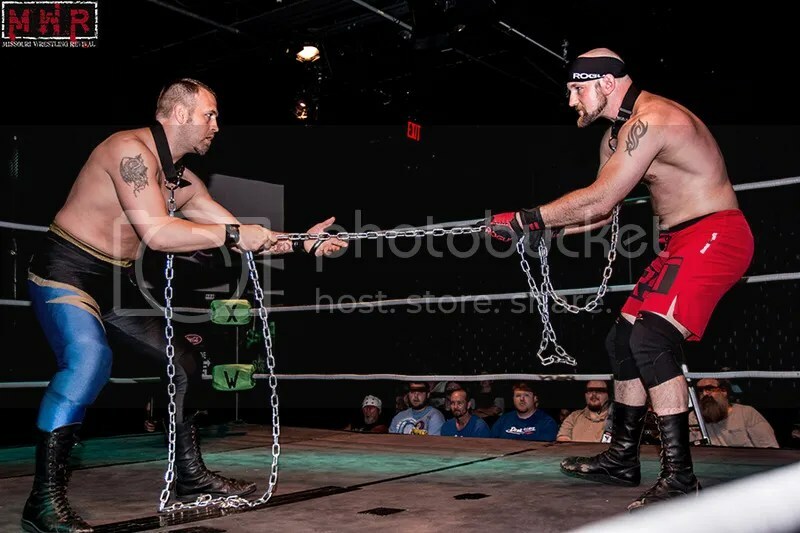 Both men hold victories over each other in the past, there is no way to tell who is going to win this one, the only thing for sure is that one of these men will be leaving PWP forever! 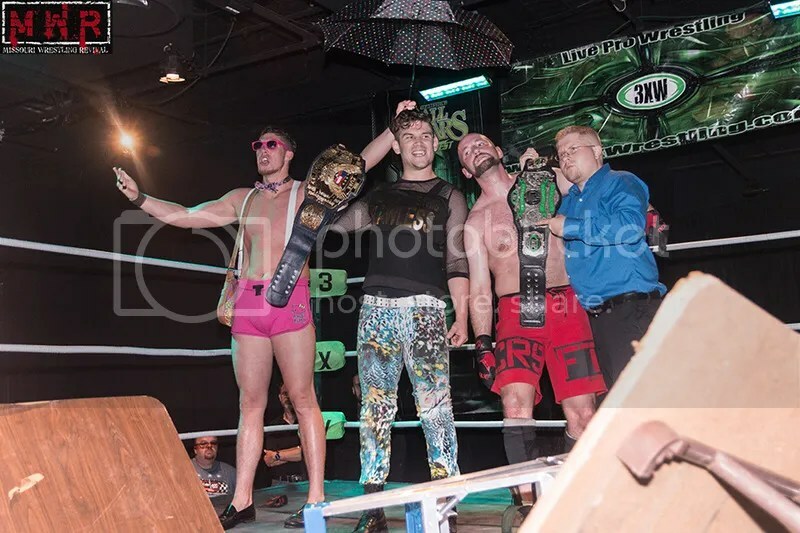 Axel Greece continues to secure major opportunities for his men, and now The Greece Pit has a chance to add another title to their stable, not just another title, but the PWP Championship!! 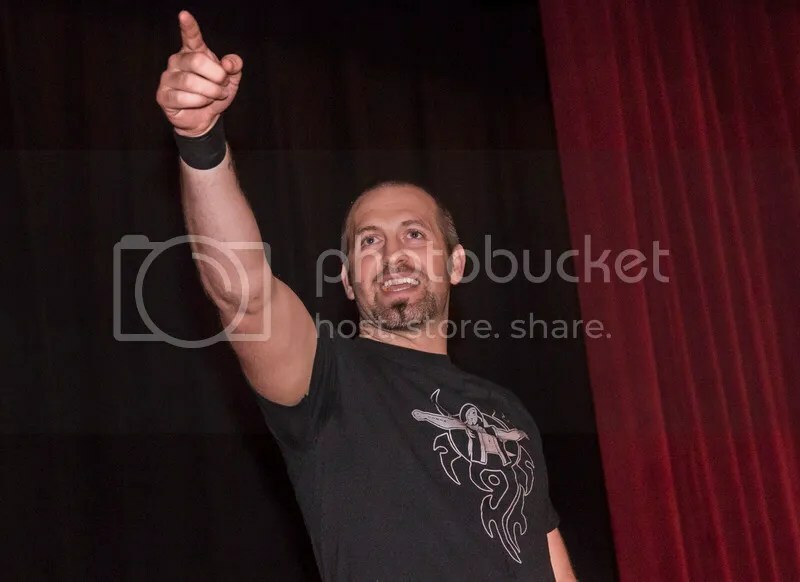 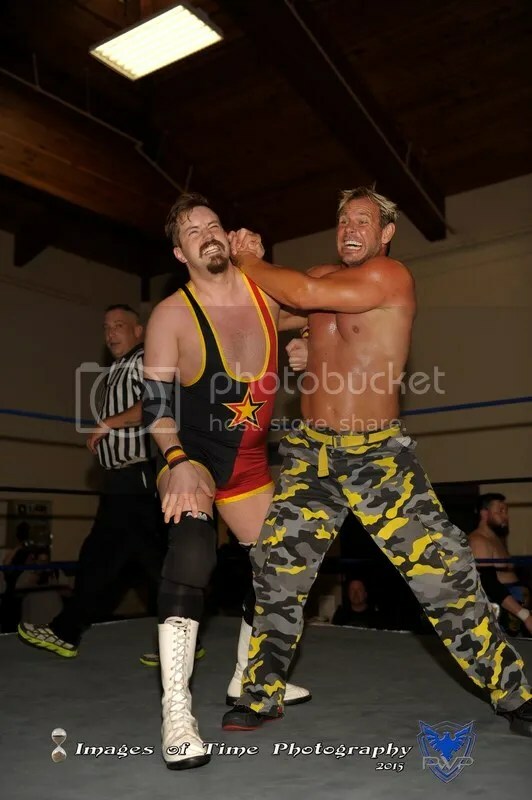 Joey Daniels has had an impressive year thus far, taking former WWE star Scotty 2 Hotty to the limit in May – he now has the chance to capture the most coveted prize in PWP! 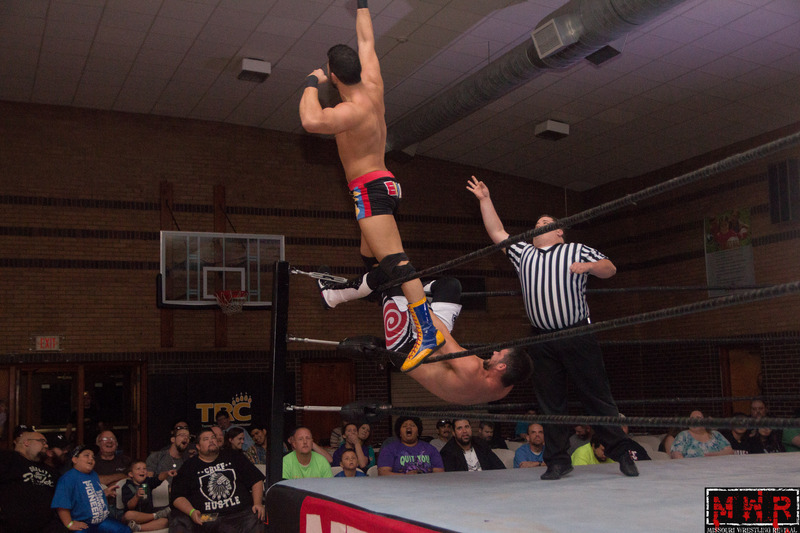 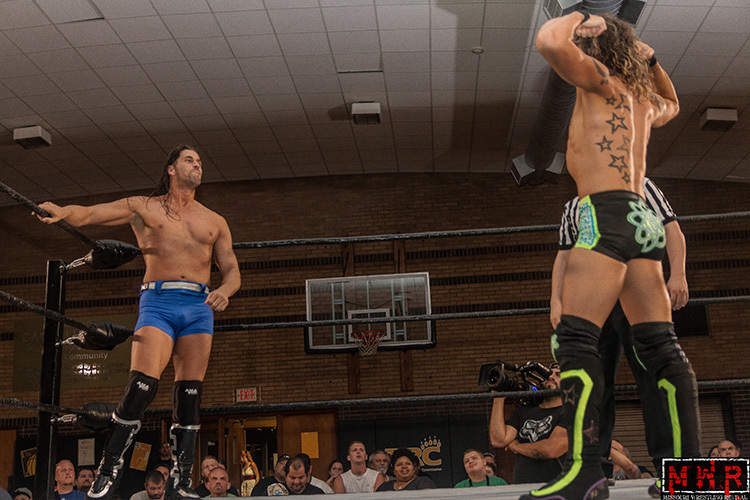 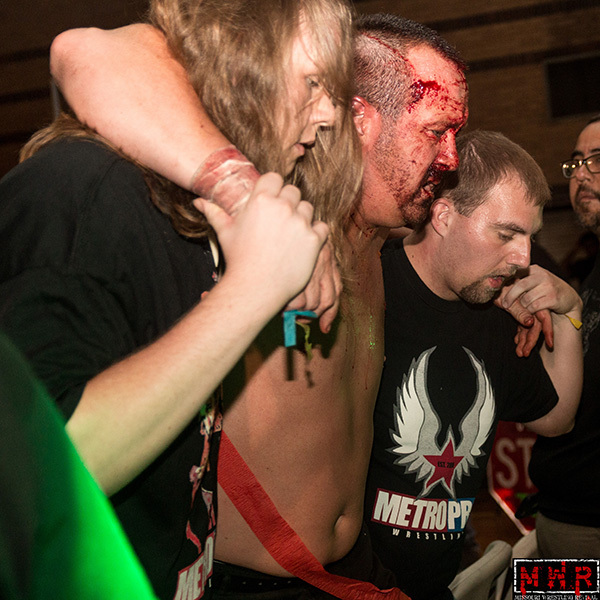 “Babyface” Tony Cortez is not one to be taken lightly though. 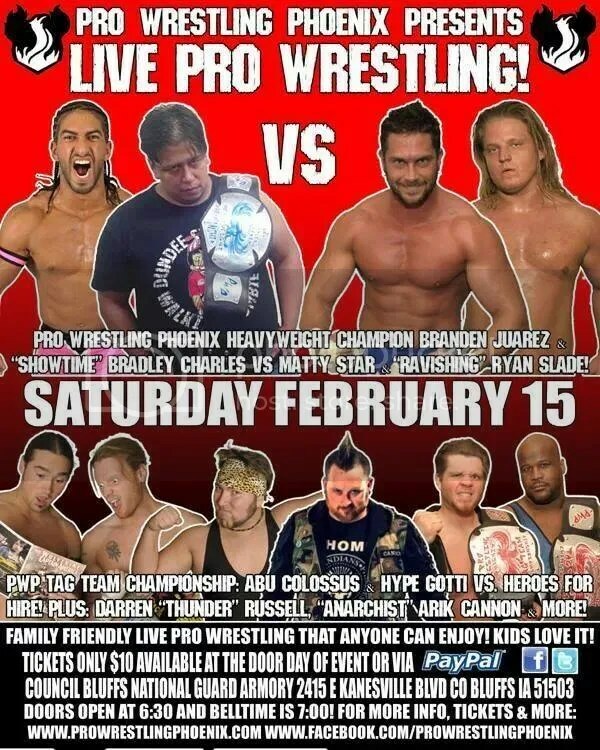 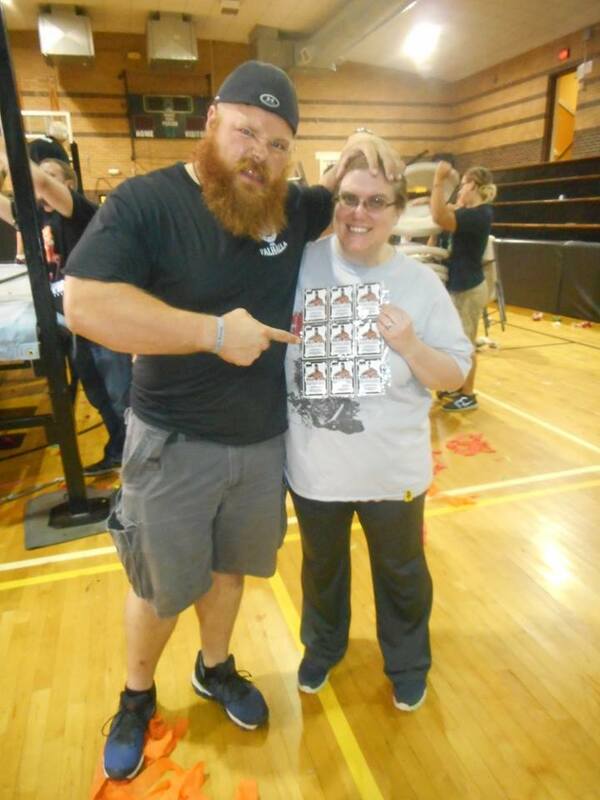 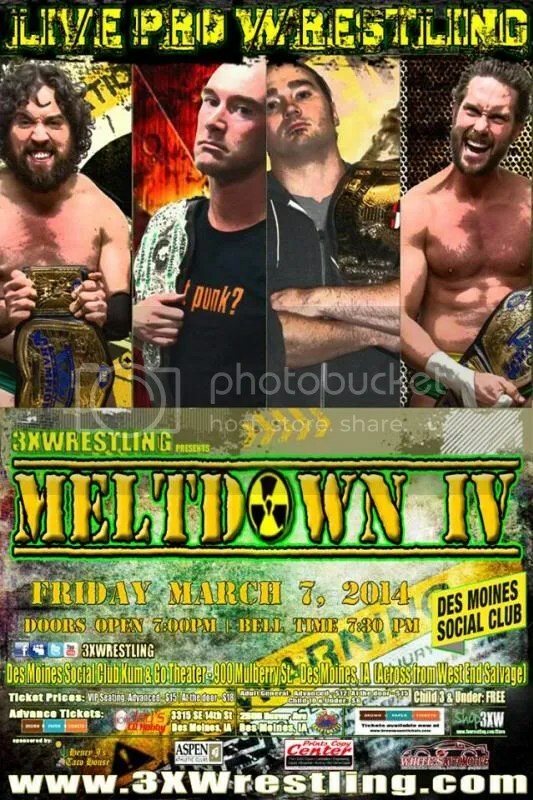 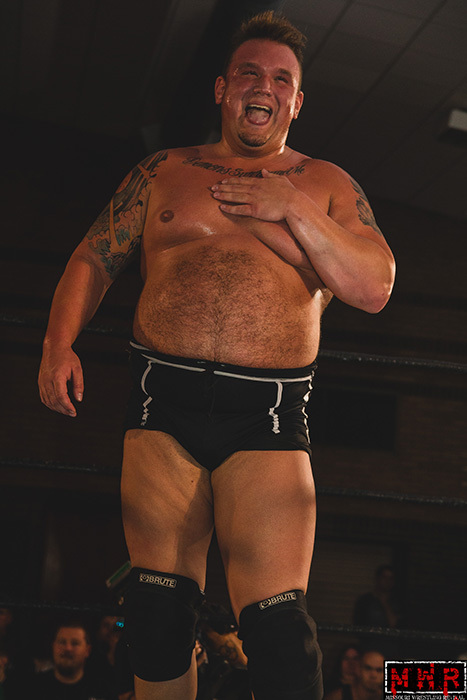 Cortez is a 3 time PWP Champion, as well as one half of the current PWP Tag Team Champions. 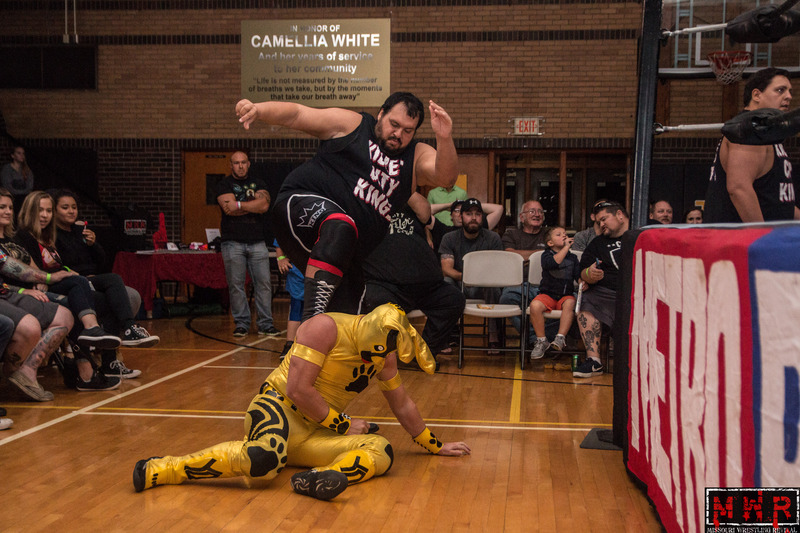 Cortez has never been afraid of an uphill battle, however will the numbers game of The Greece Pit simply be too much? 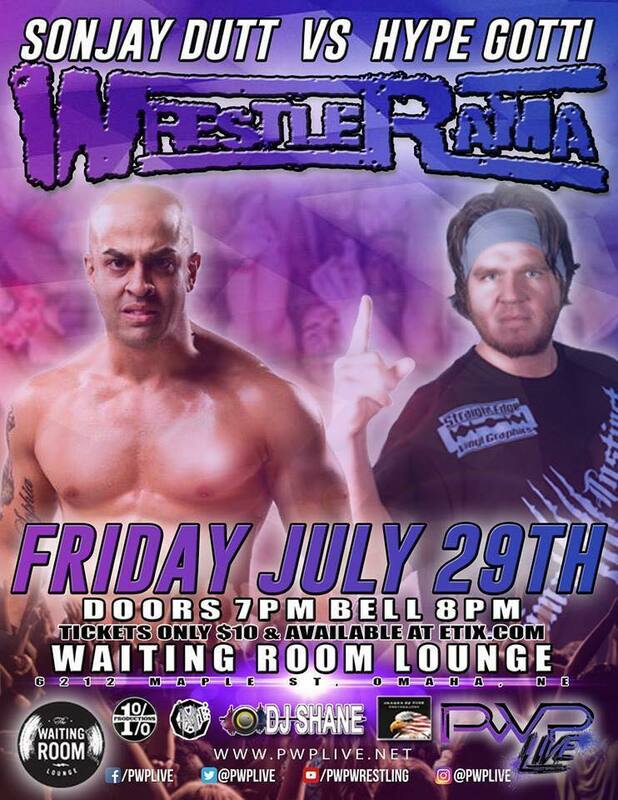 Be there July 31st to find out! 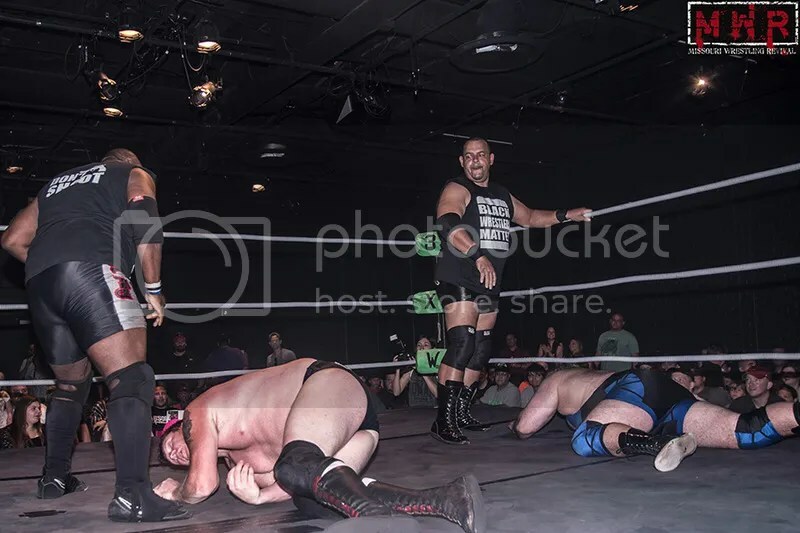 Abu Colossus & Branden Juarez Vs. Darren “Thunder” Russell & ??? 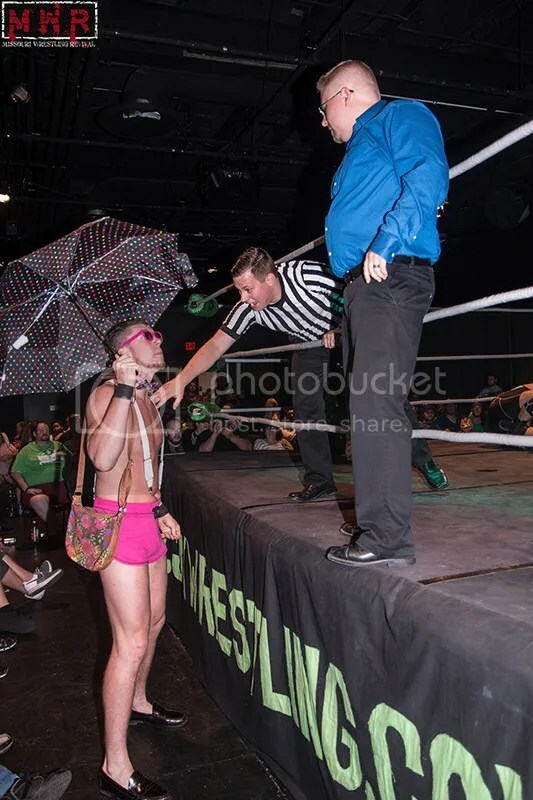 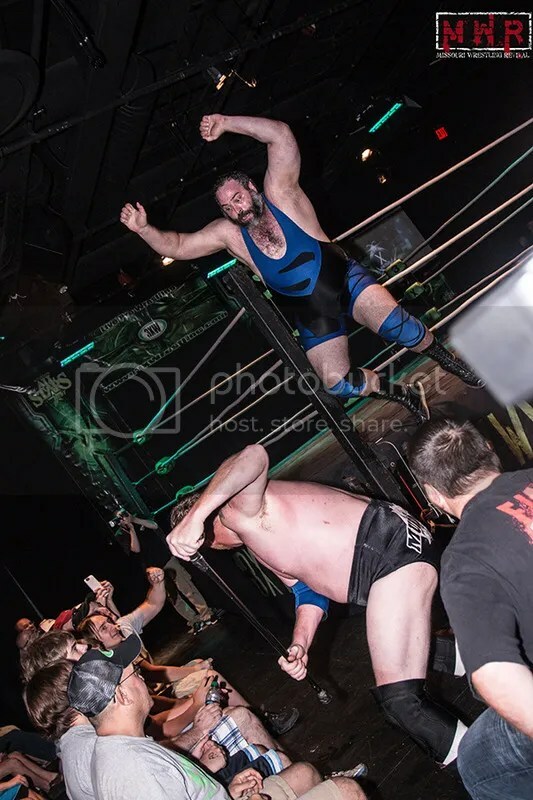 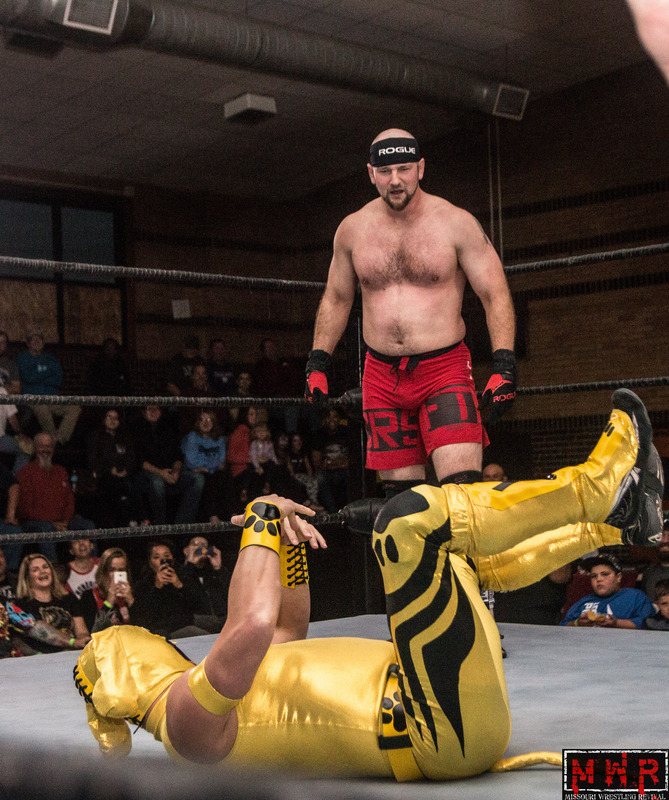 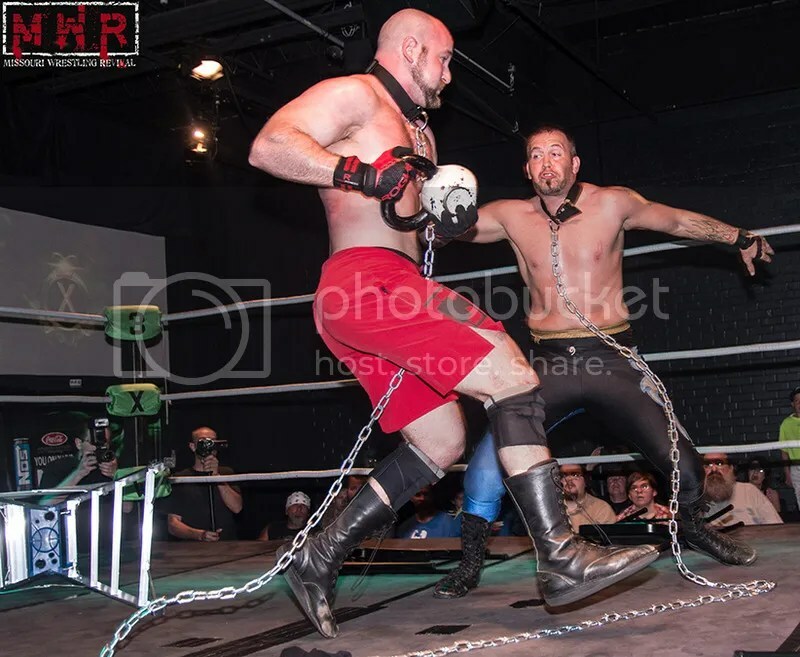 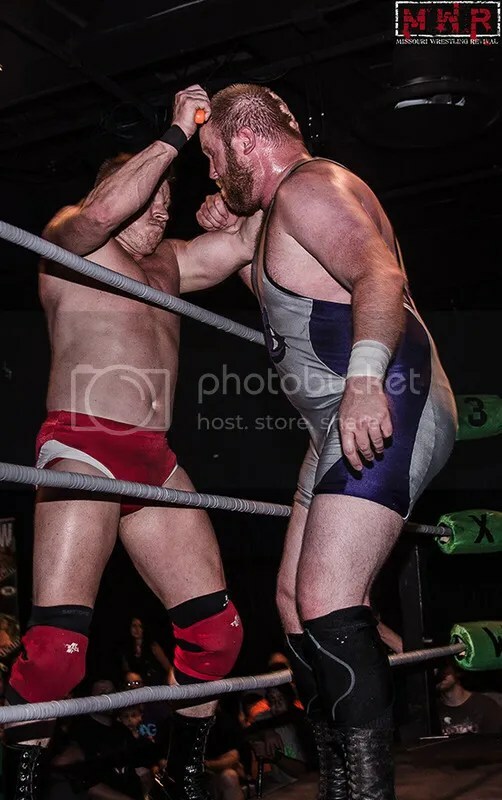 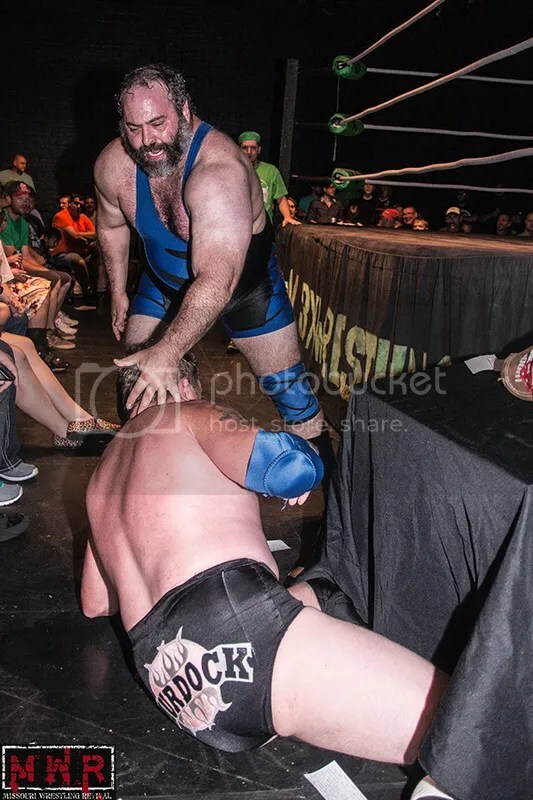 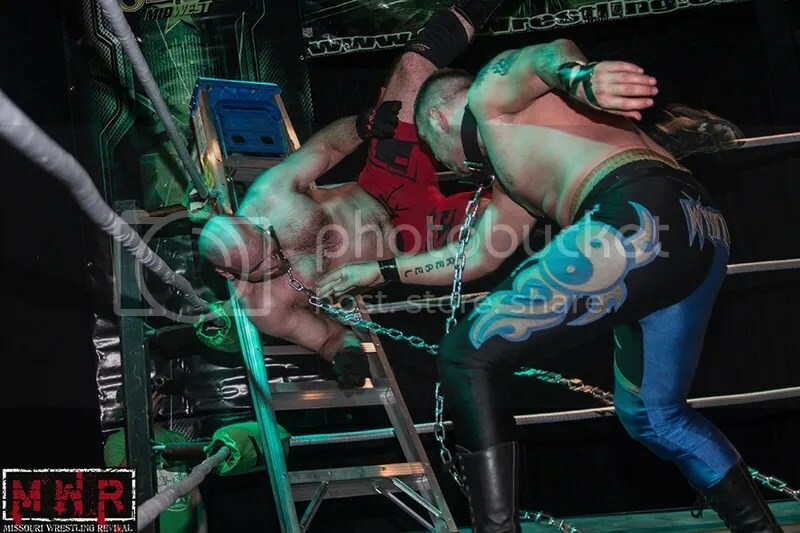 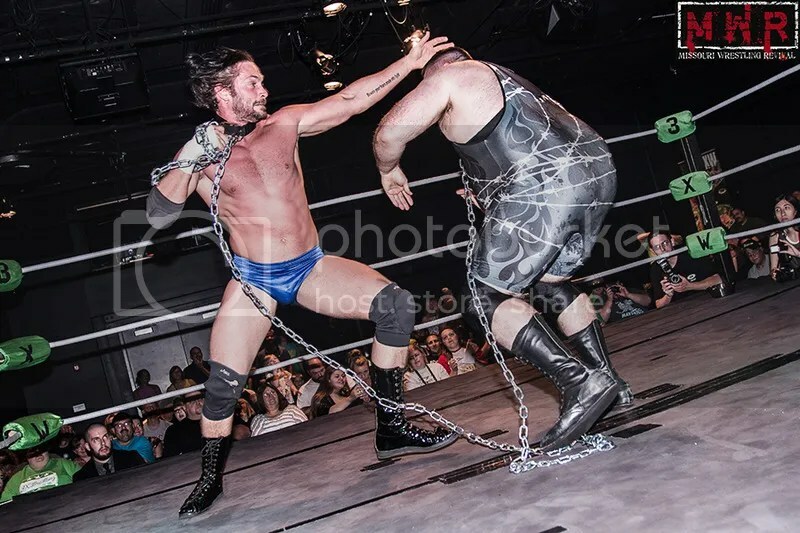 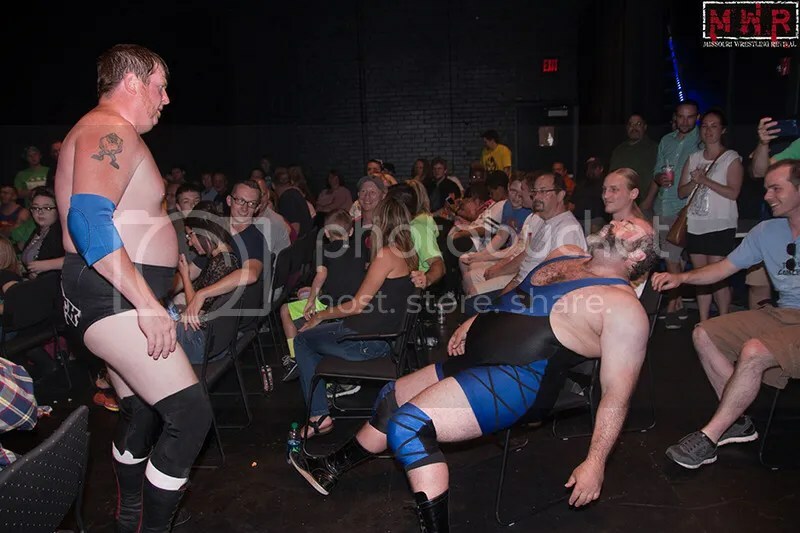 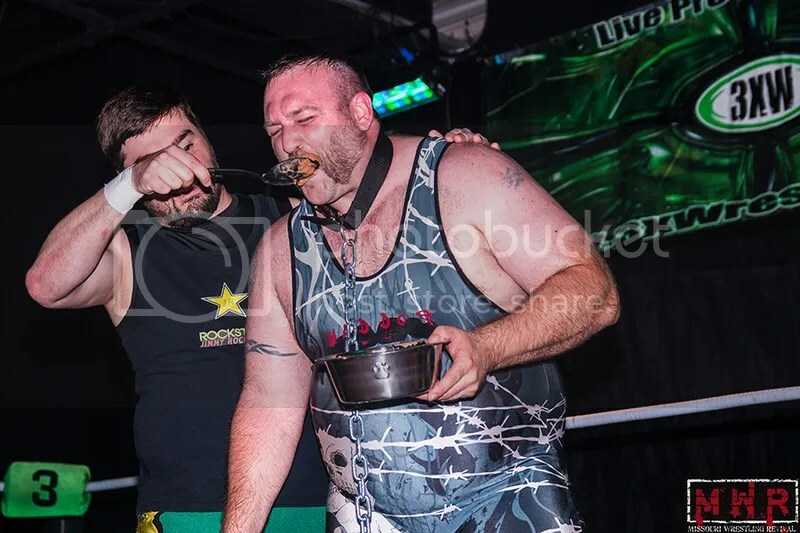 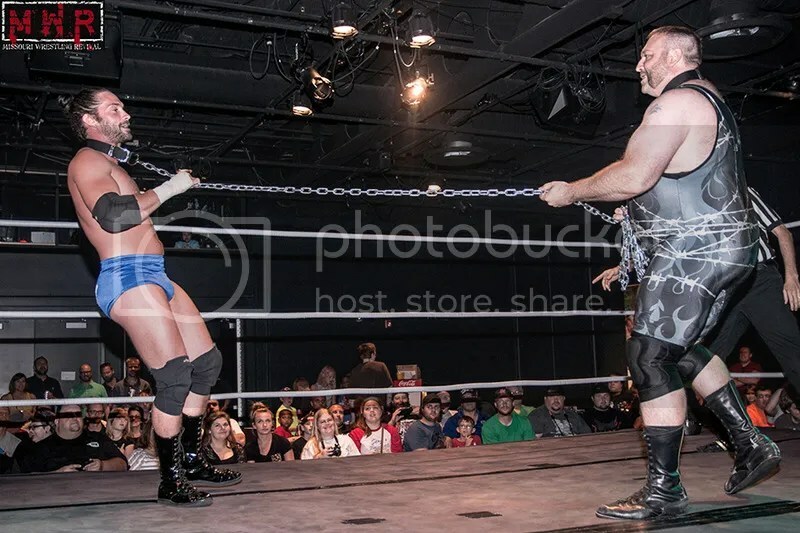 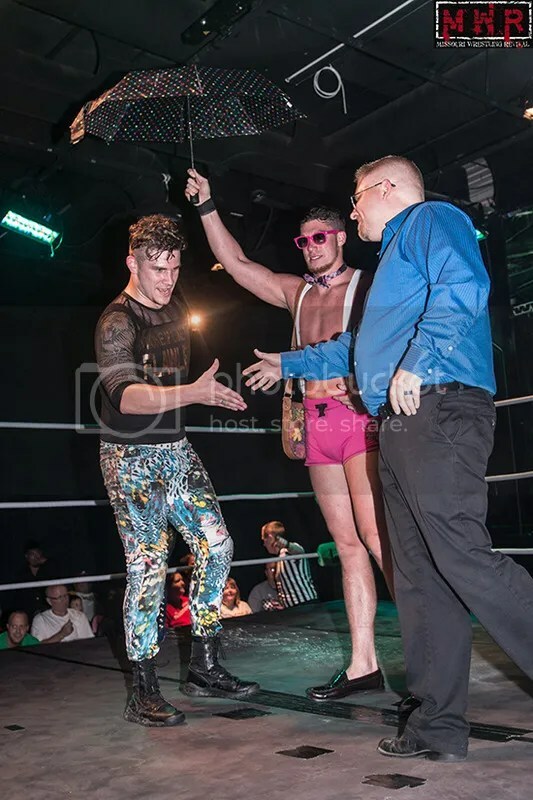 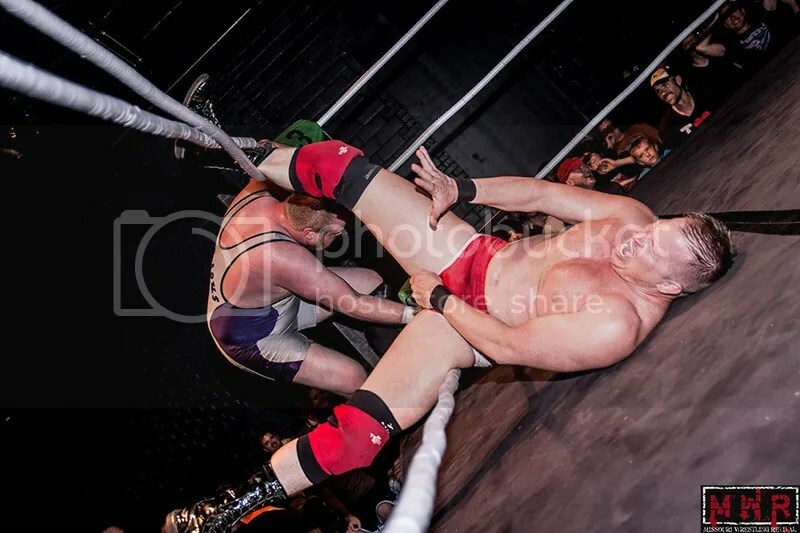 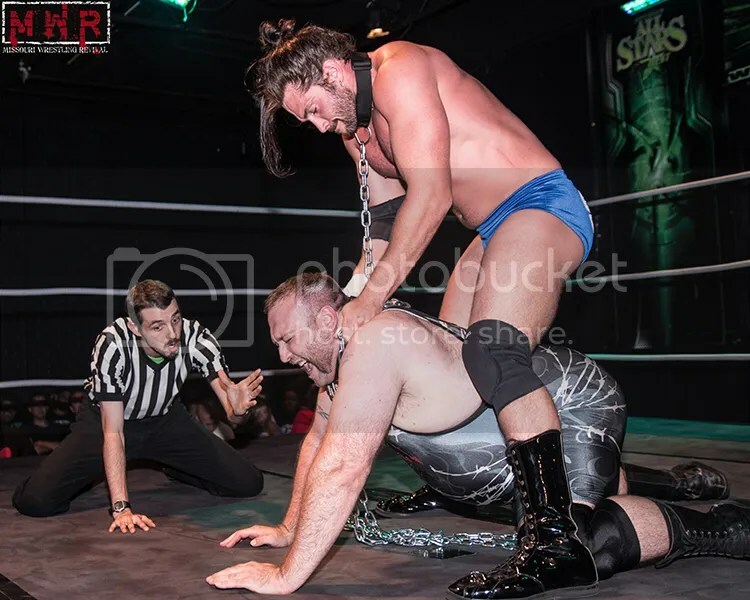 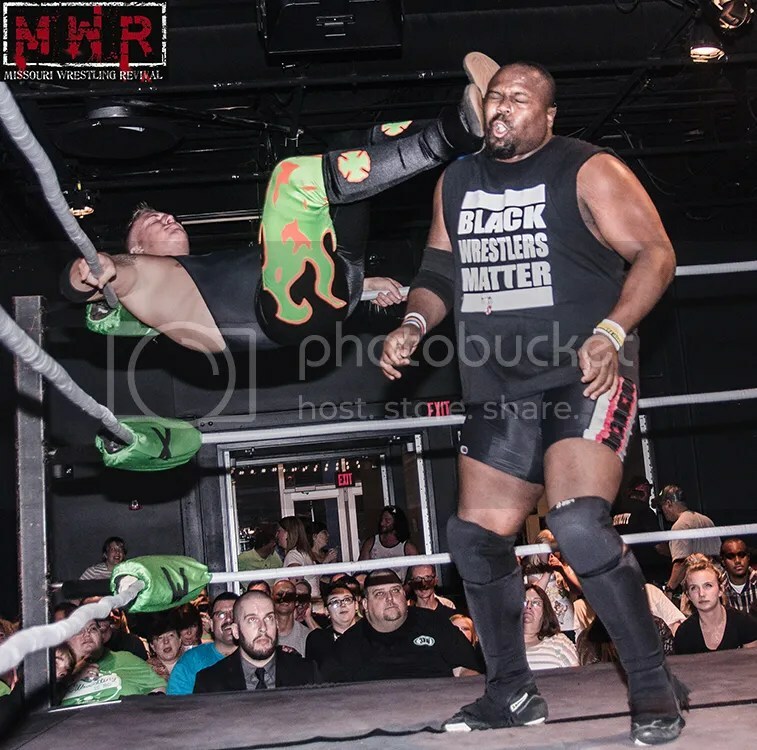 Last month, Darren “Thunder” Russell defeated the man who robbed him of the PWP Championship earlier this year, Abu Colossus. 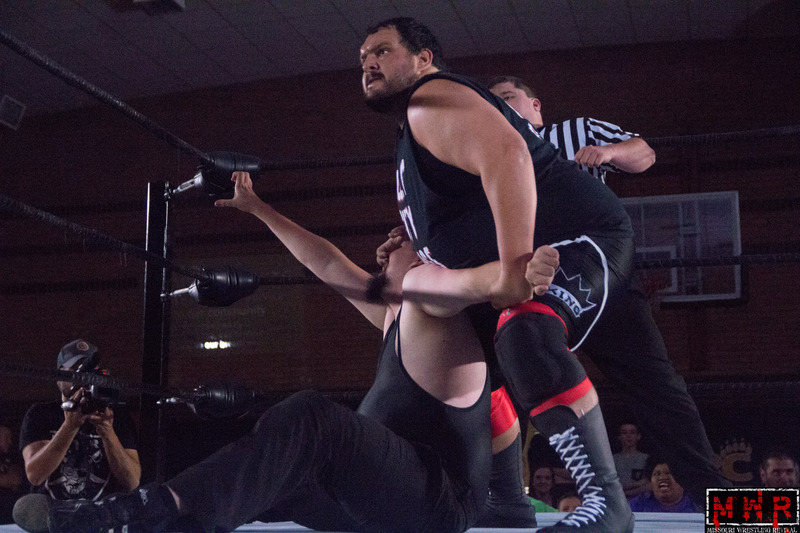 As Russell was exiting after his huge win, his old rival Branden Juarez, who had been hiding under the ring, emerged and attacked Russell. 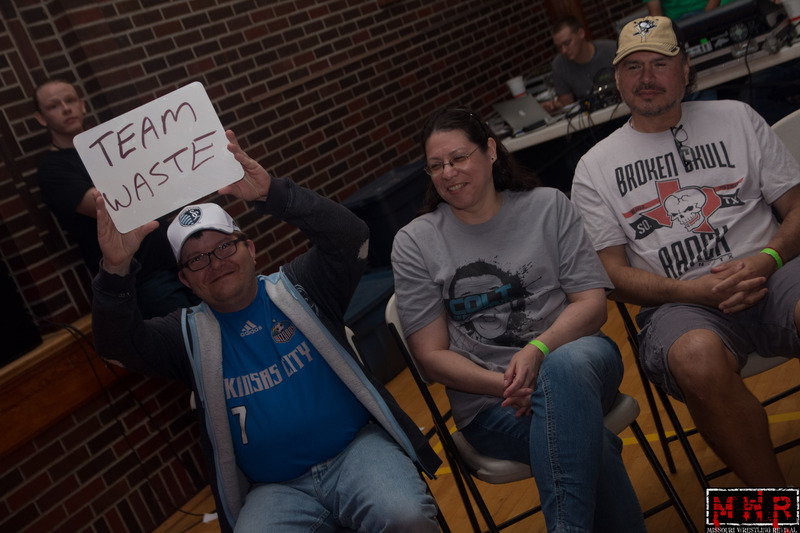 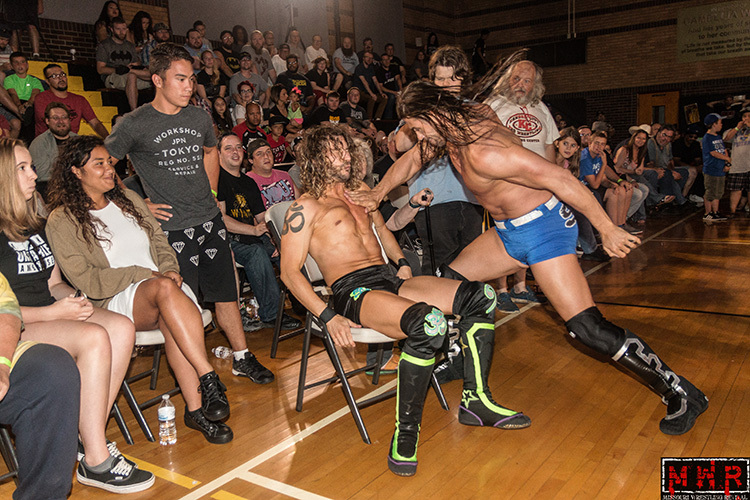 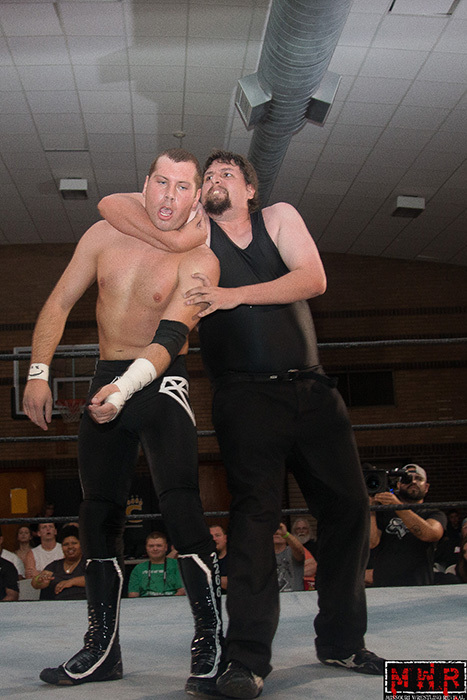 This led to a brutal beatdown on Russell by both Juarez & Colossus – who seem to have formed some kind of alliance. 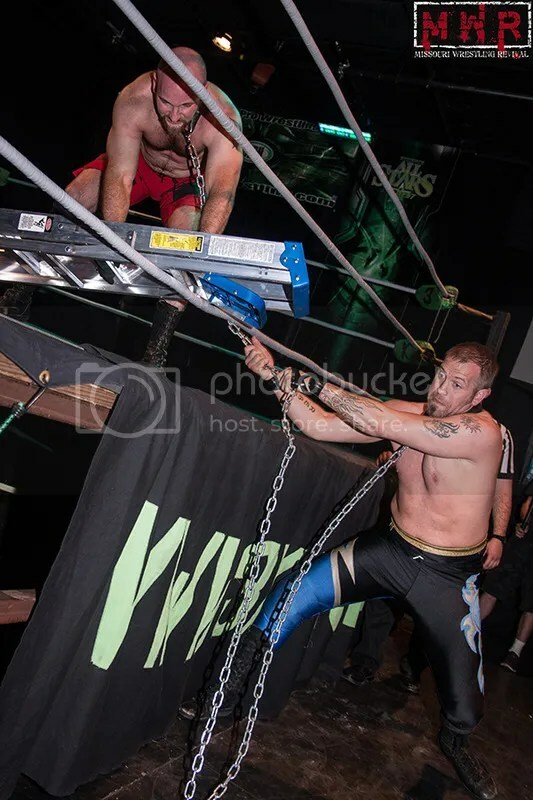 Darren looks for revenge on July 31st in a tag team bout, however who will Darren find to watch his back? 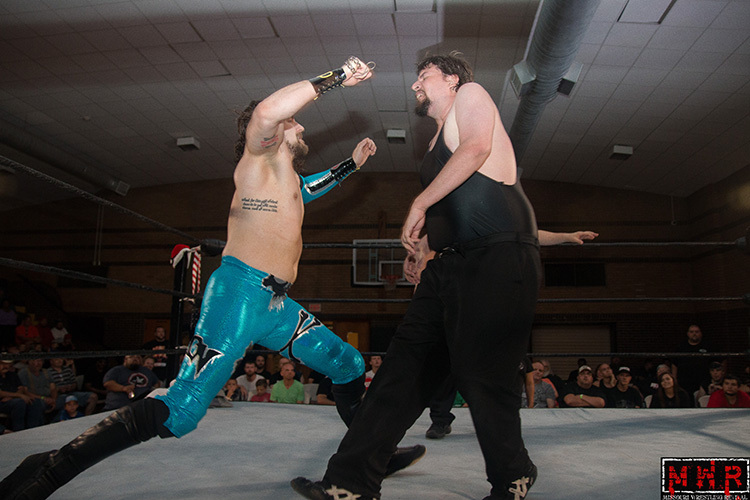 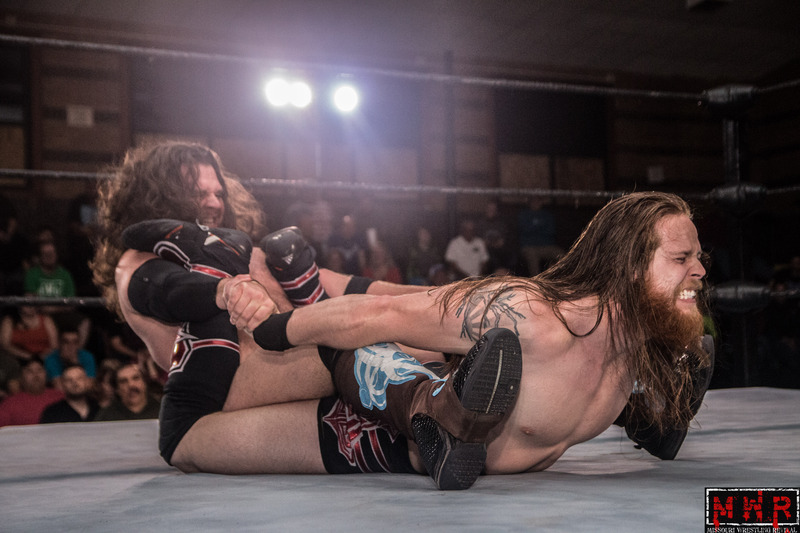 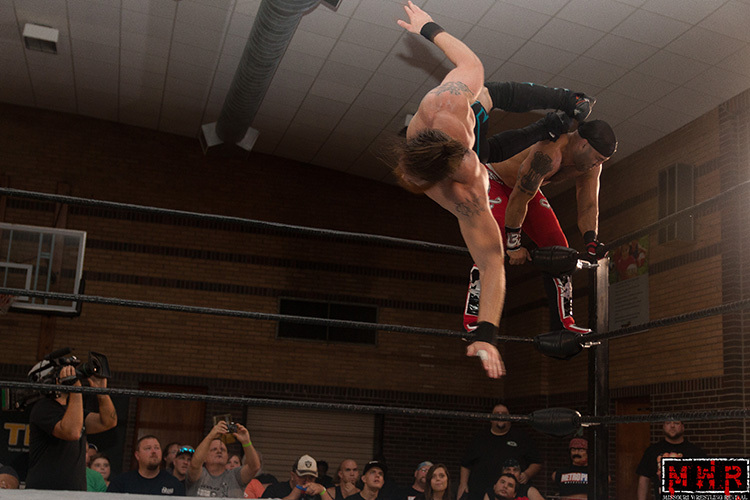 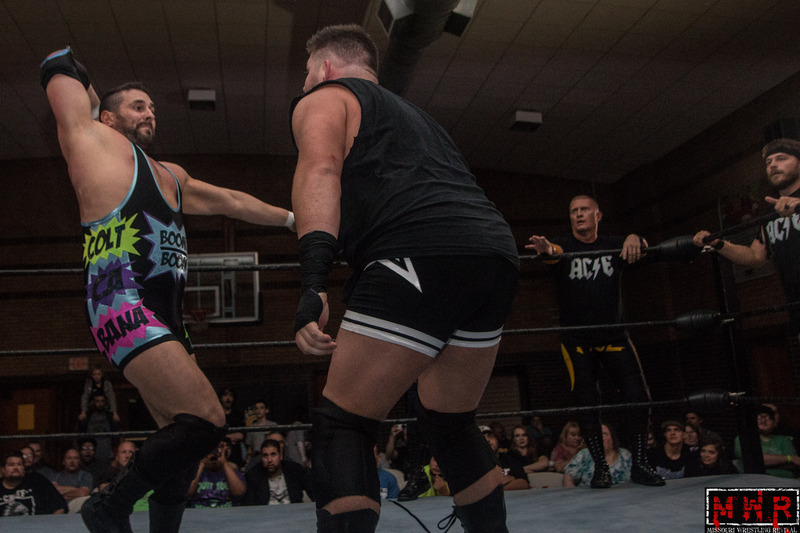 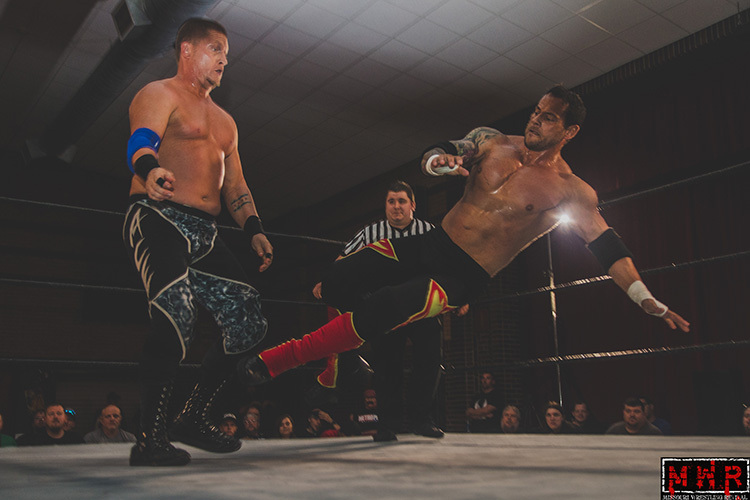 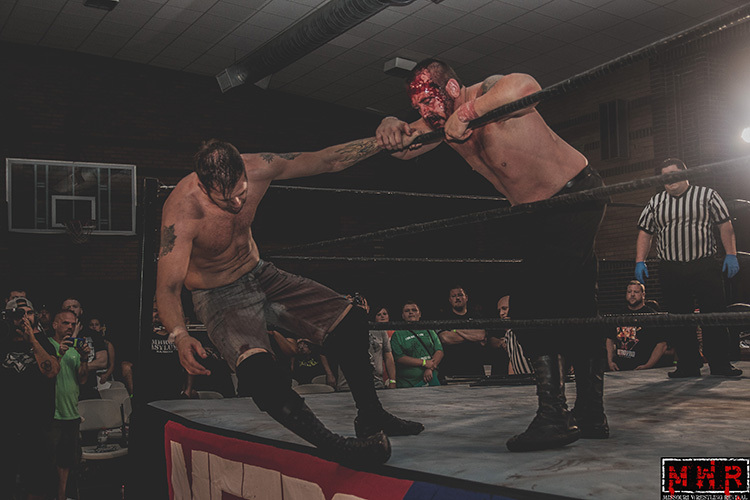 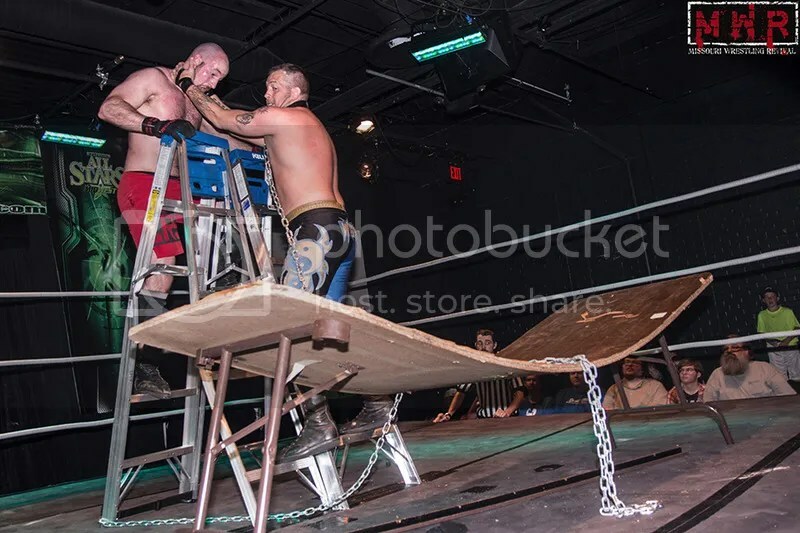 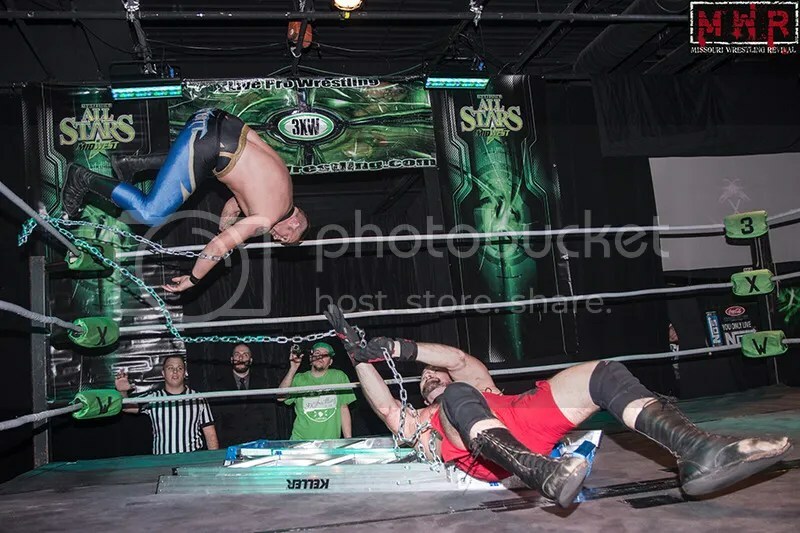 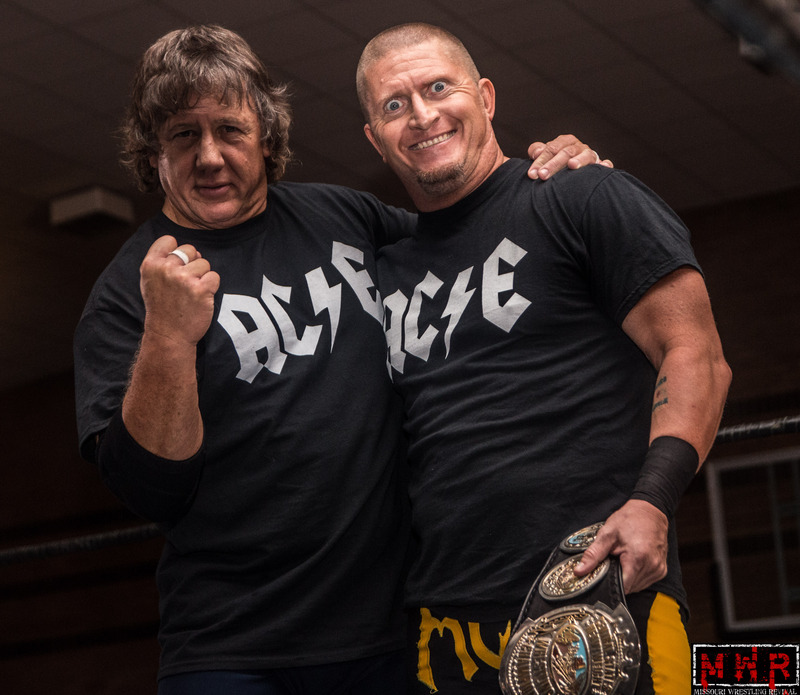 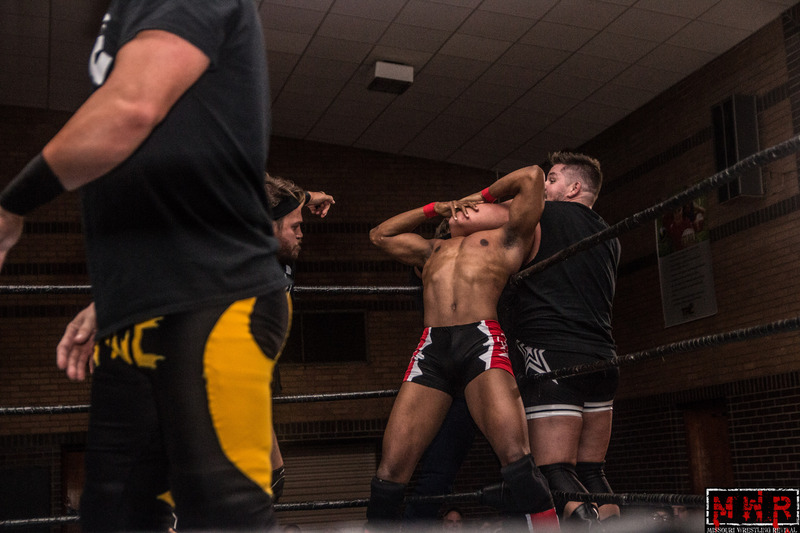 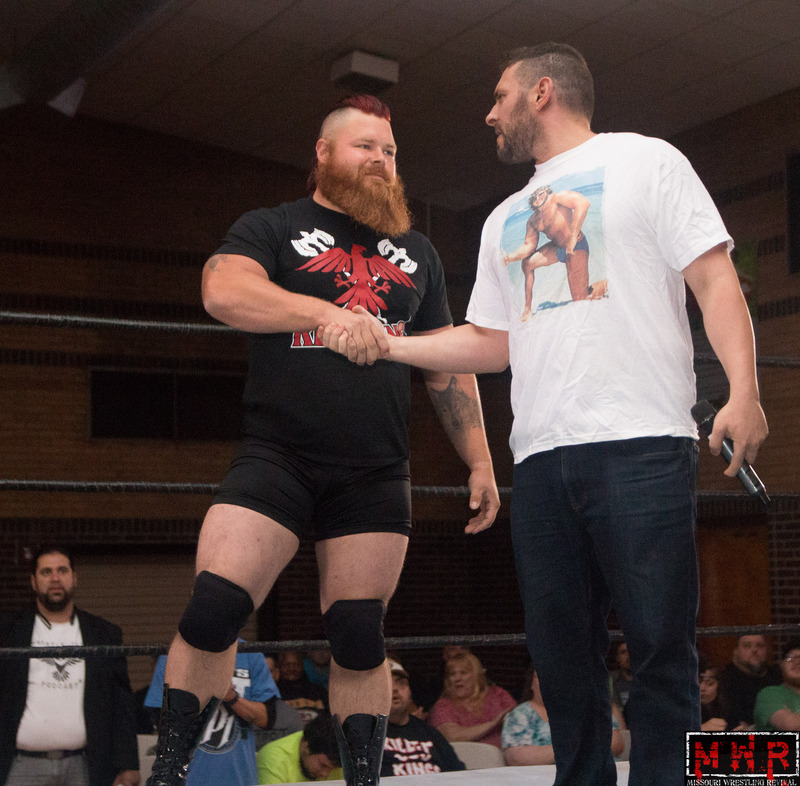 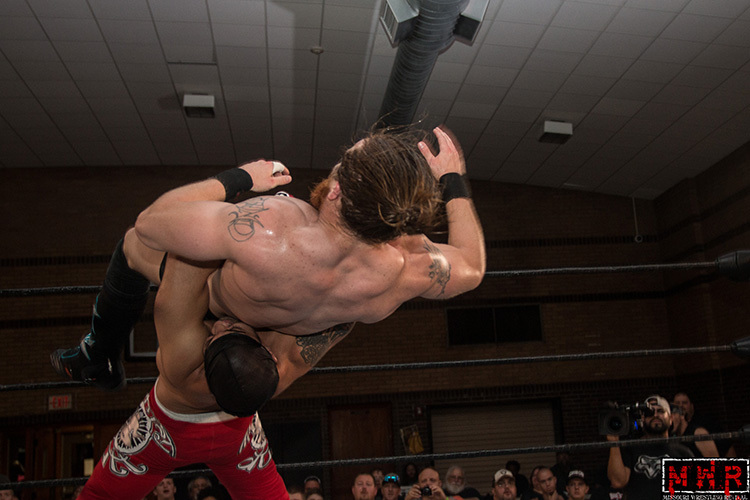 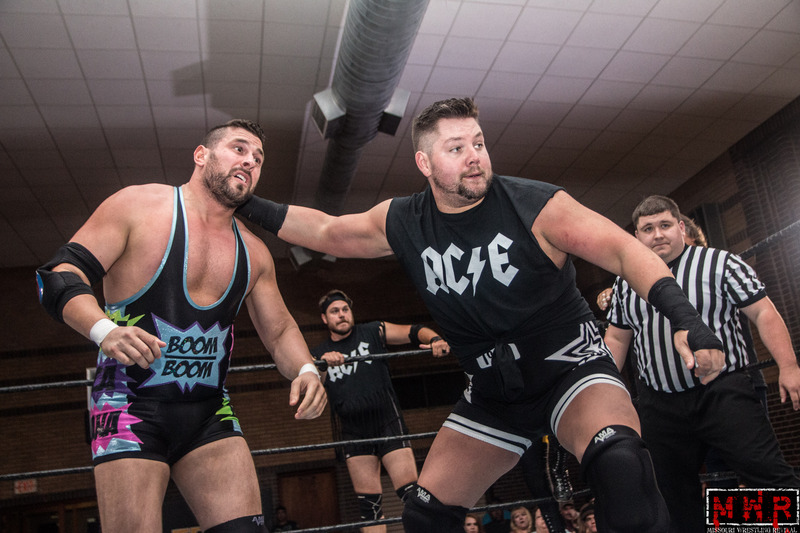 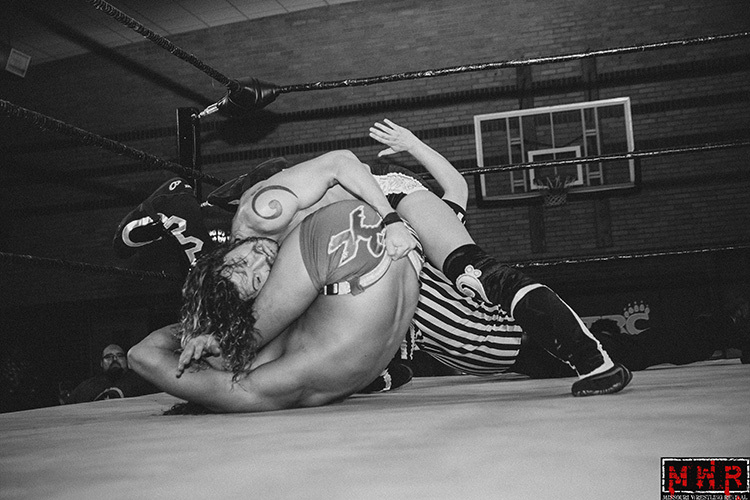 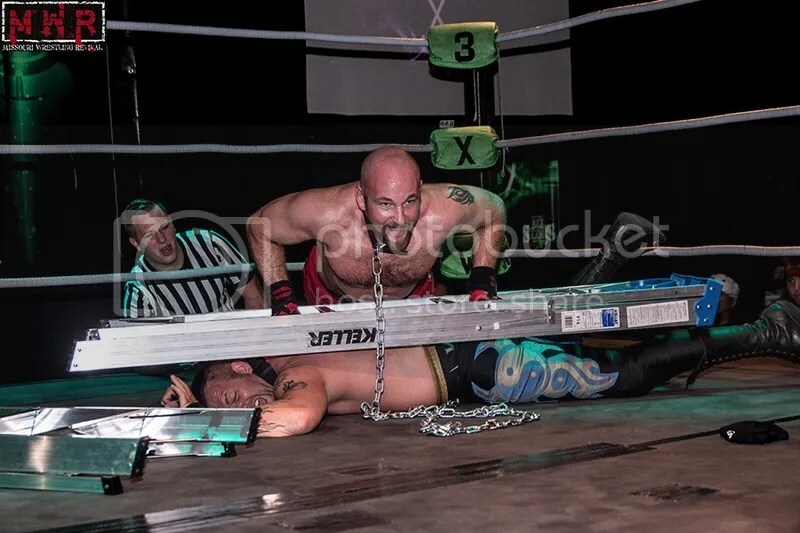 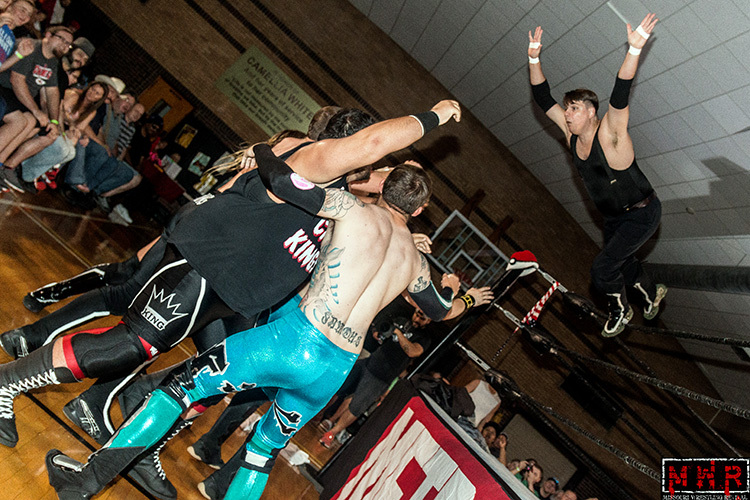 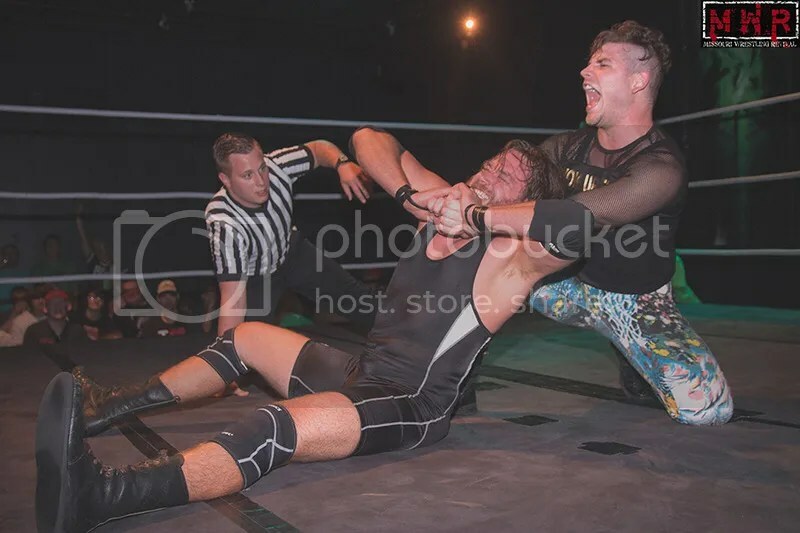 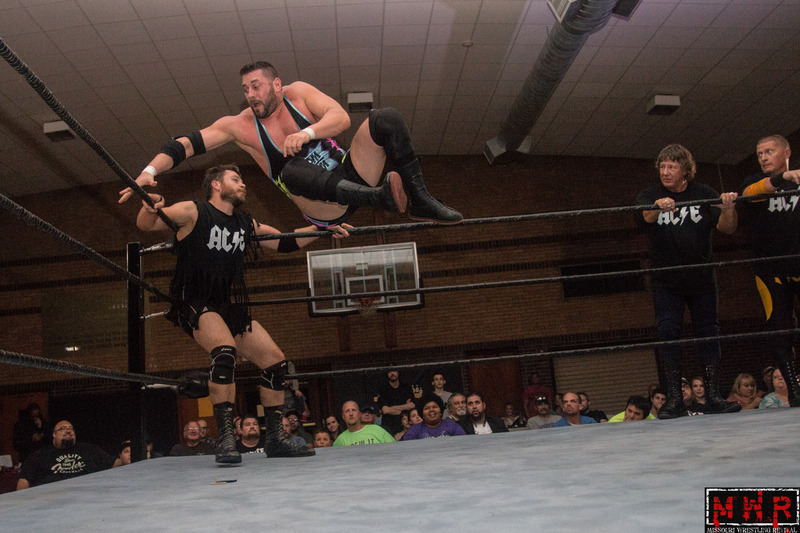 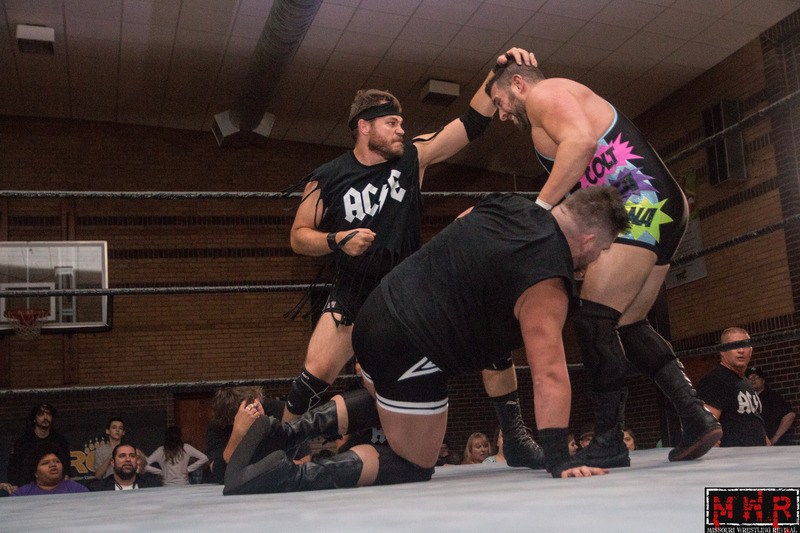 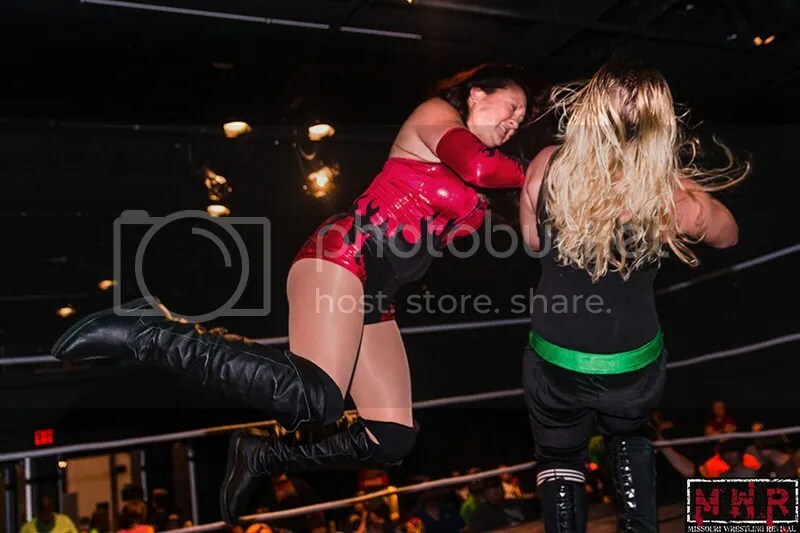 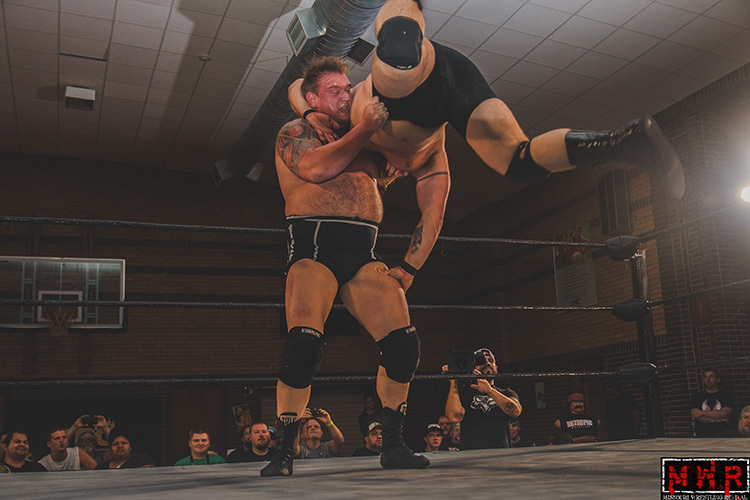 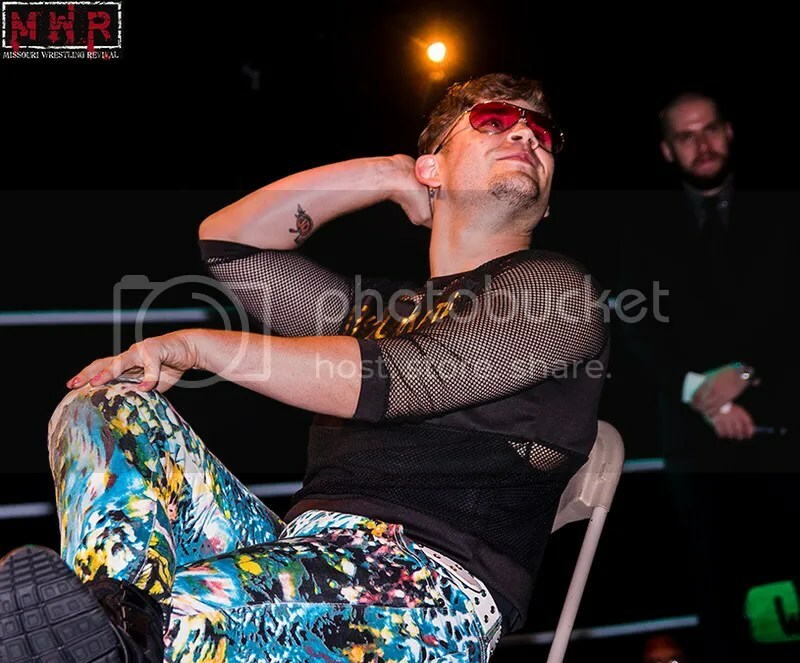 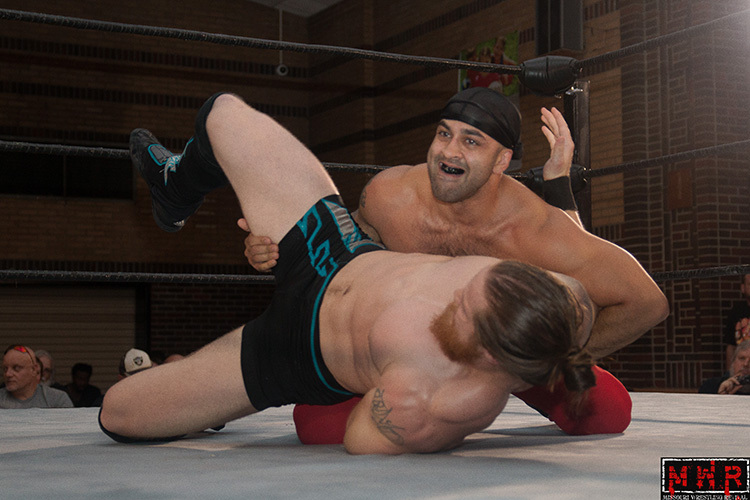 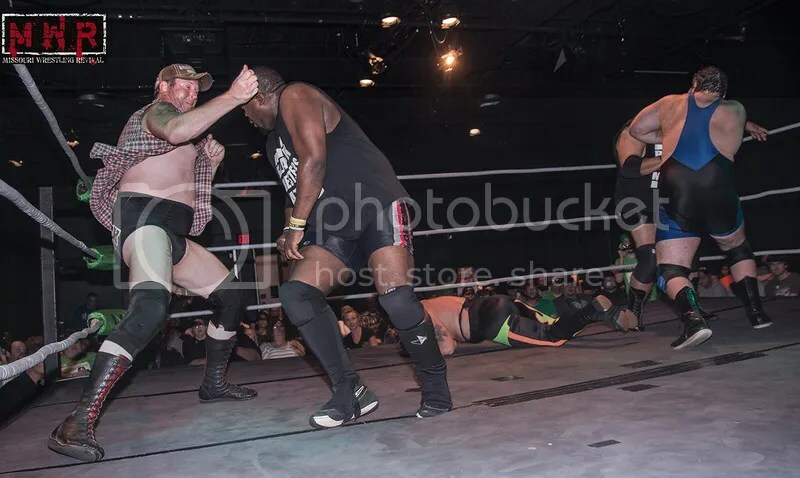 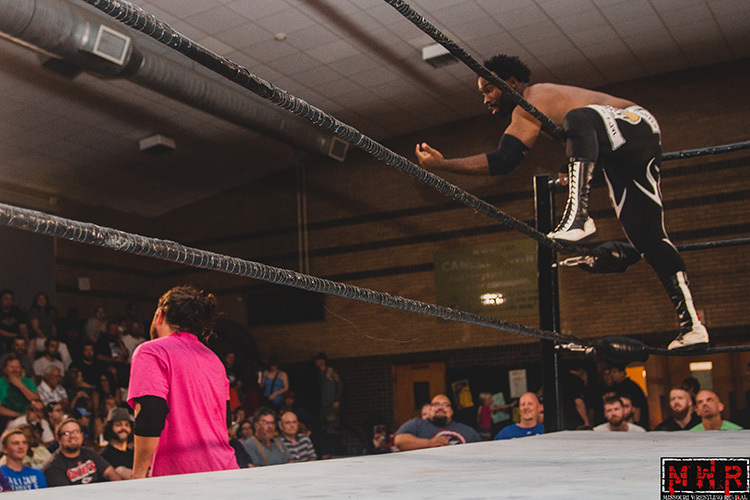 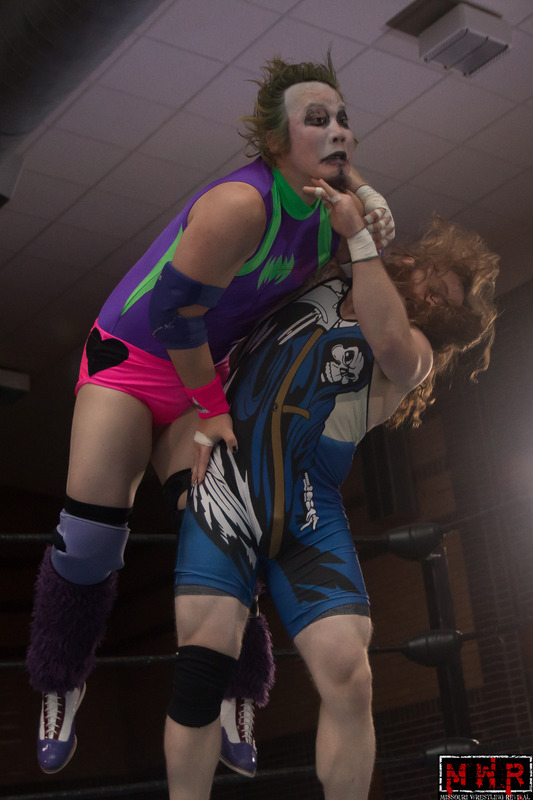 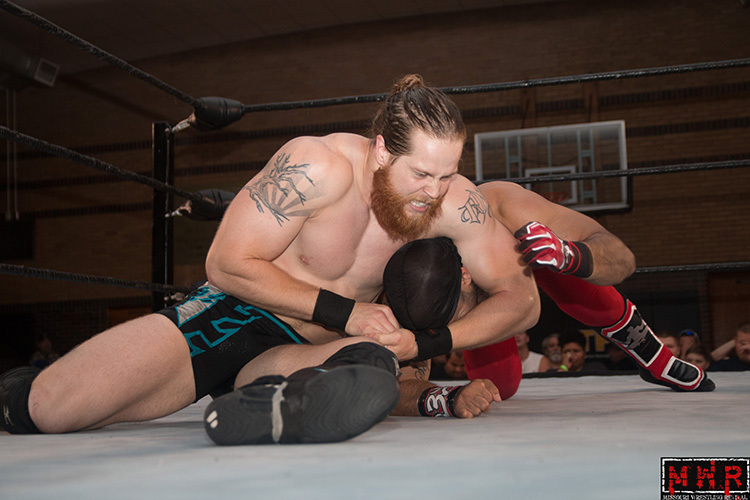 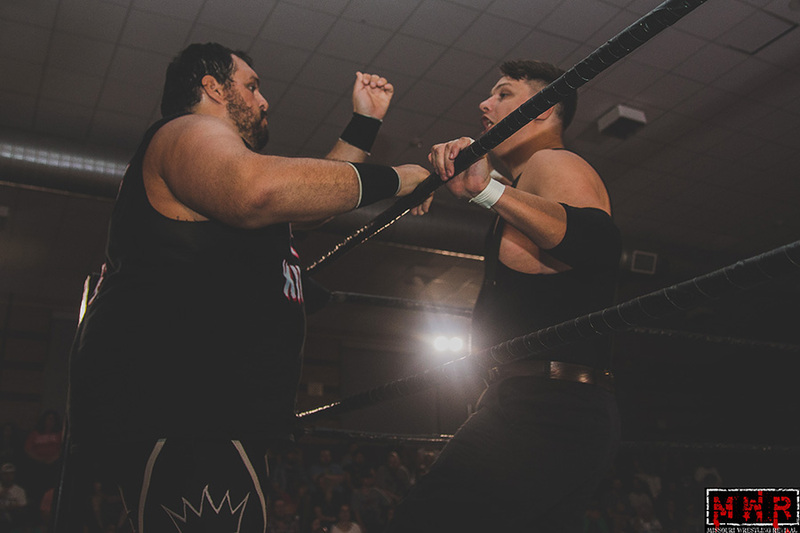 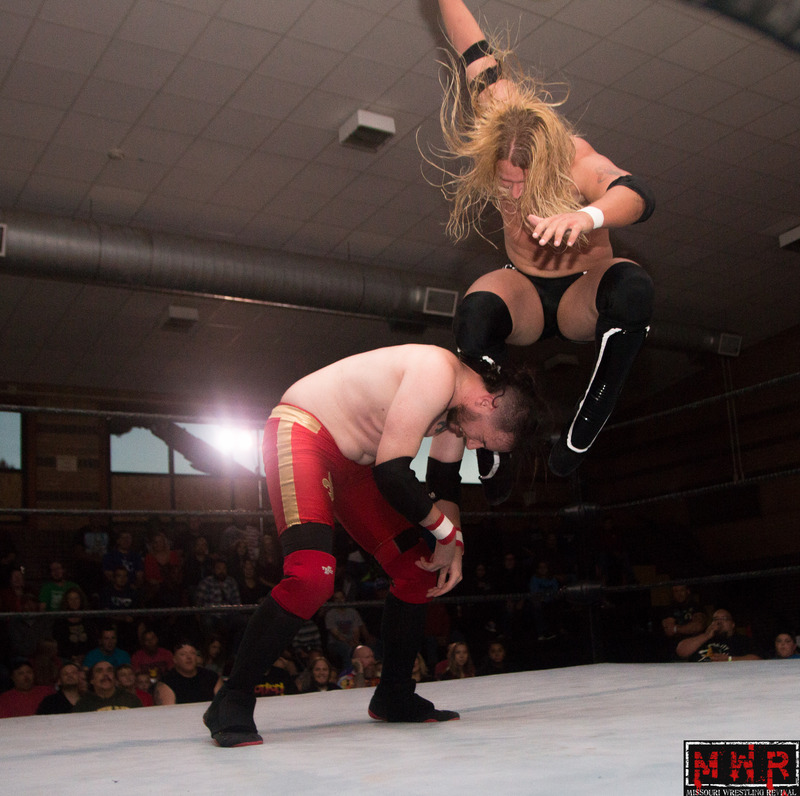 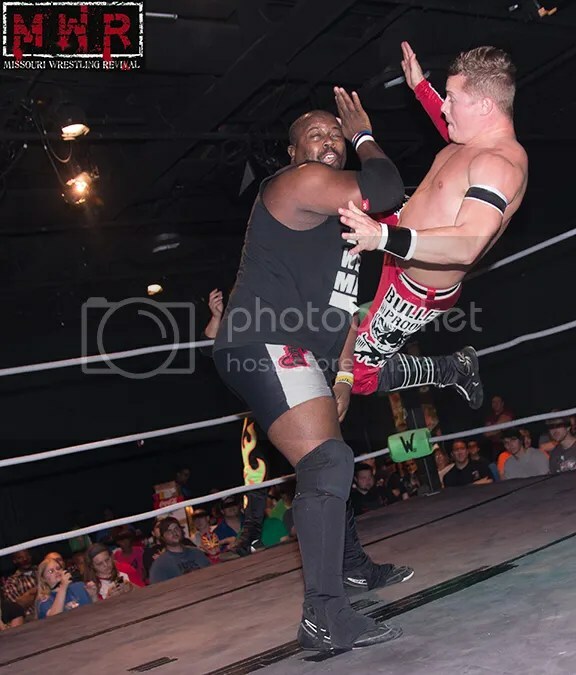 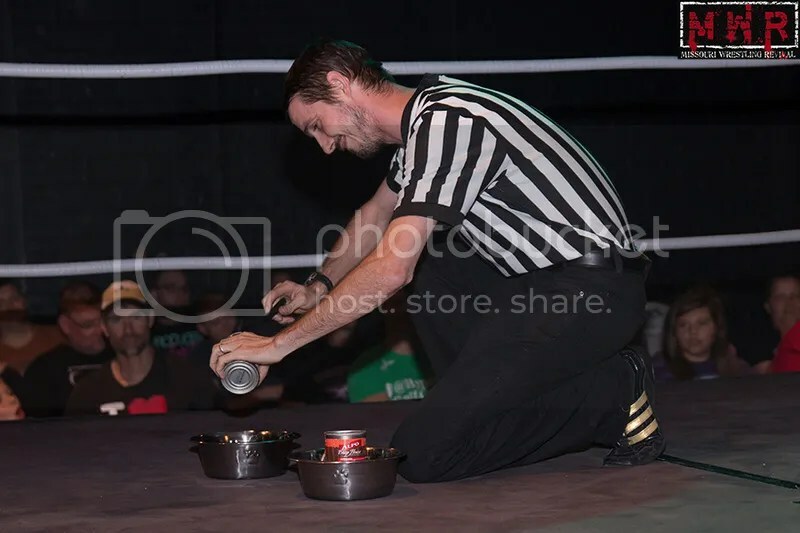 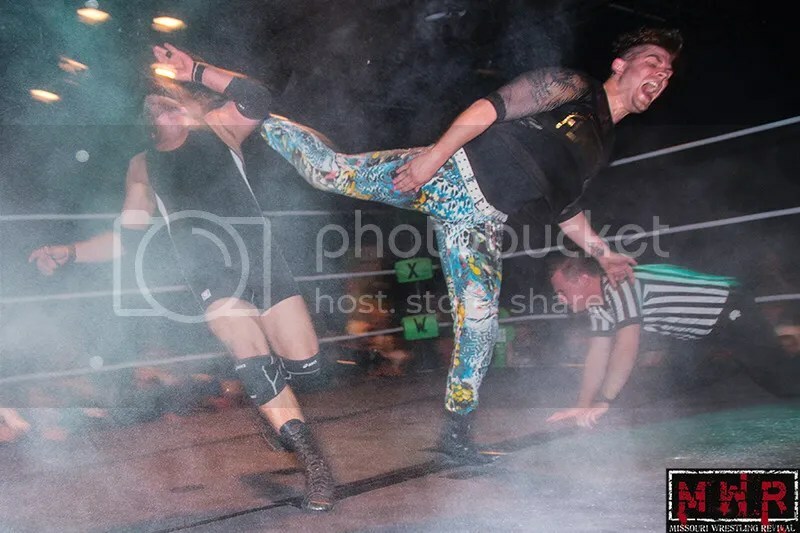 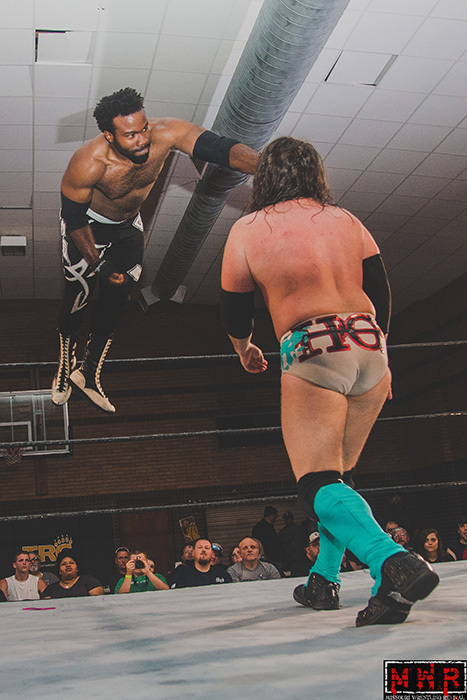 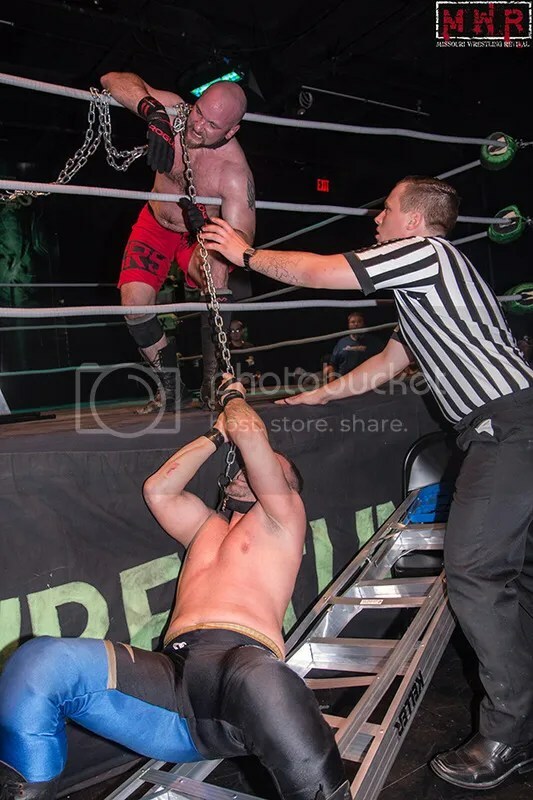 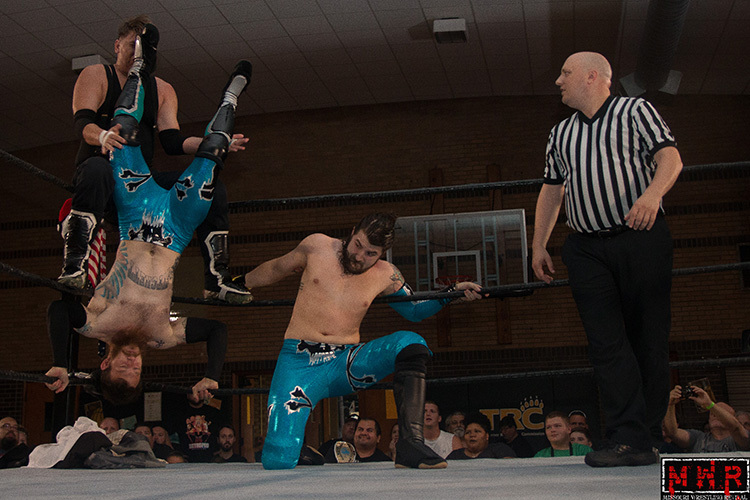 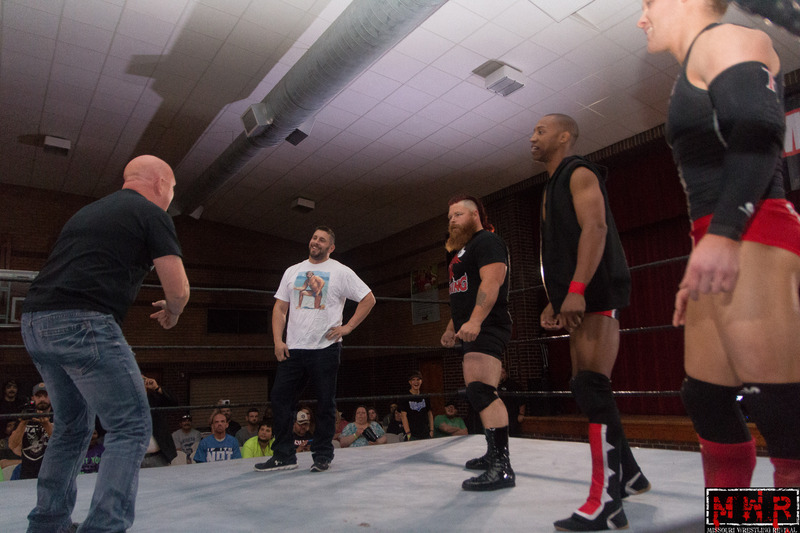 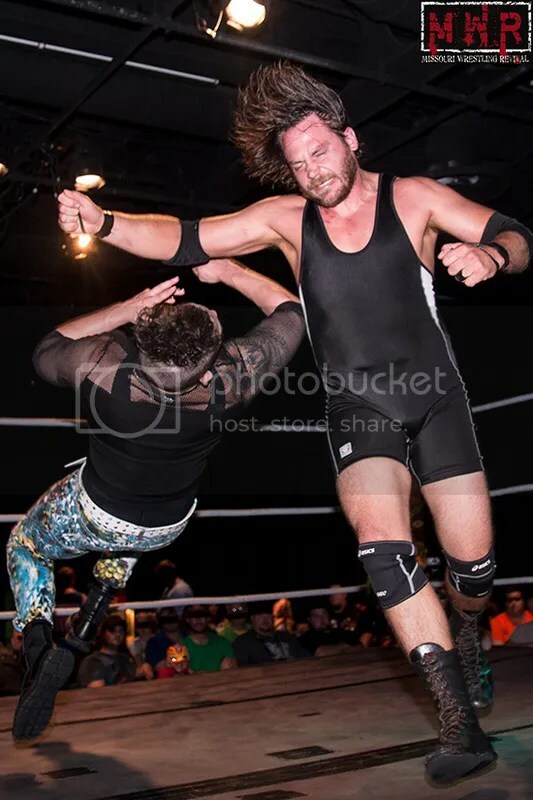 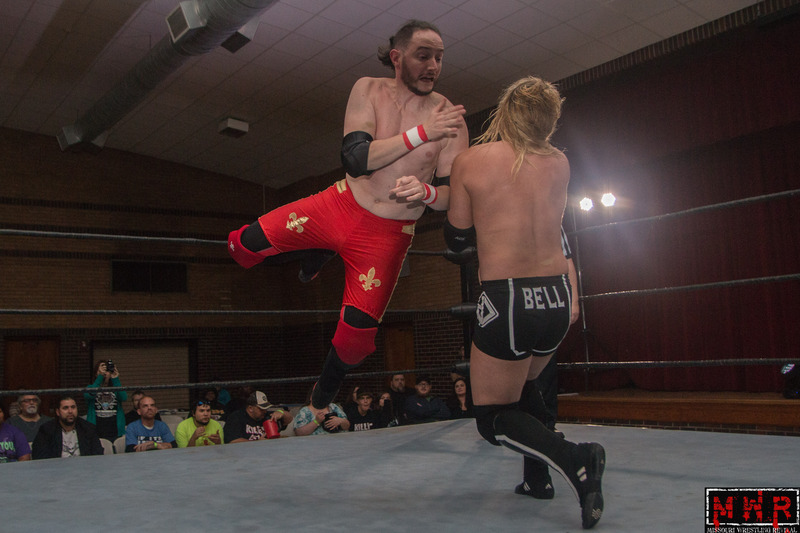 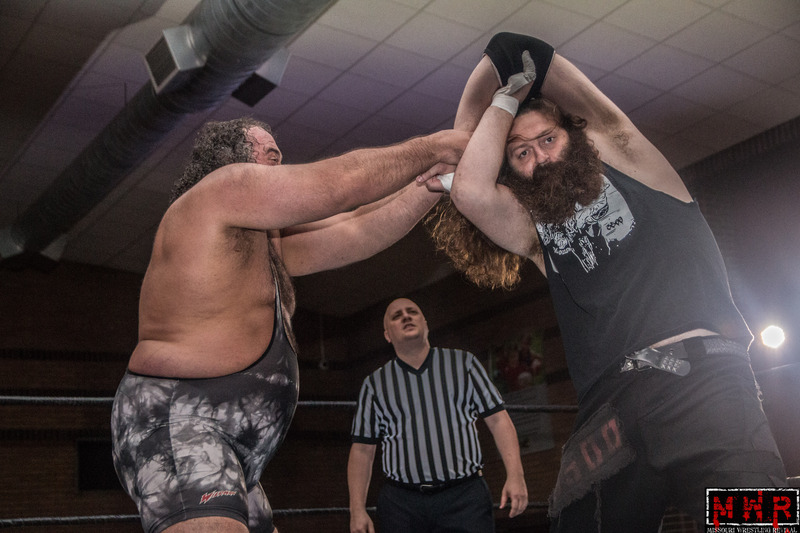 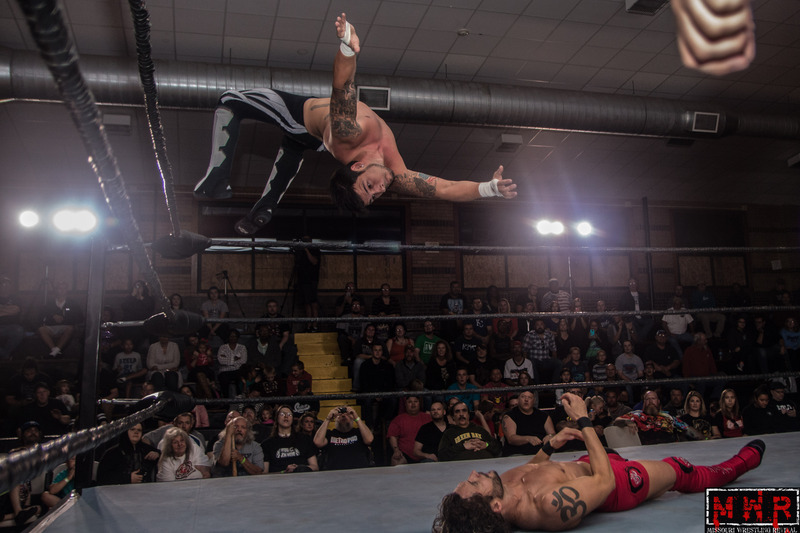 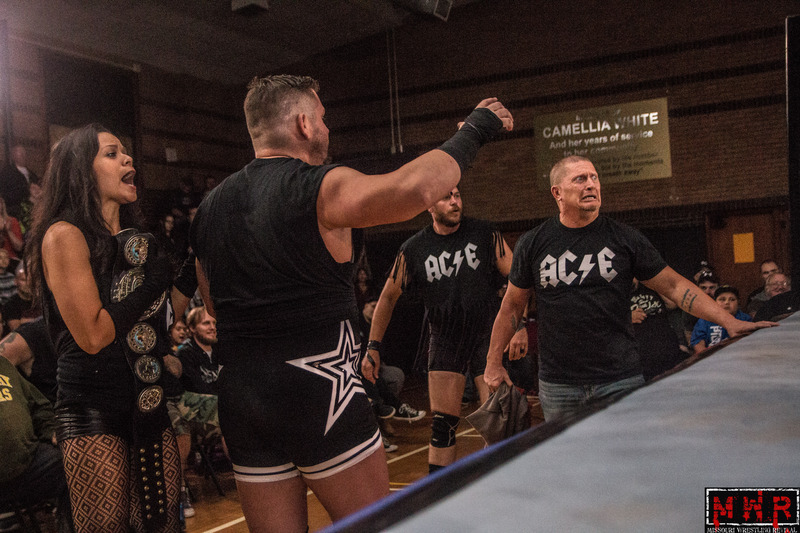 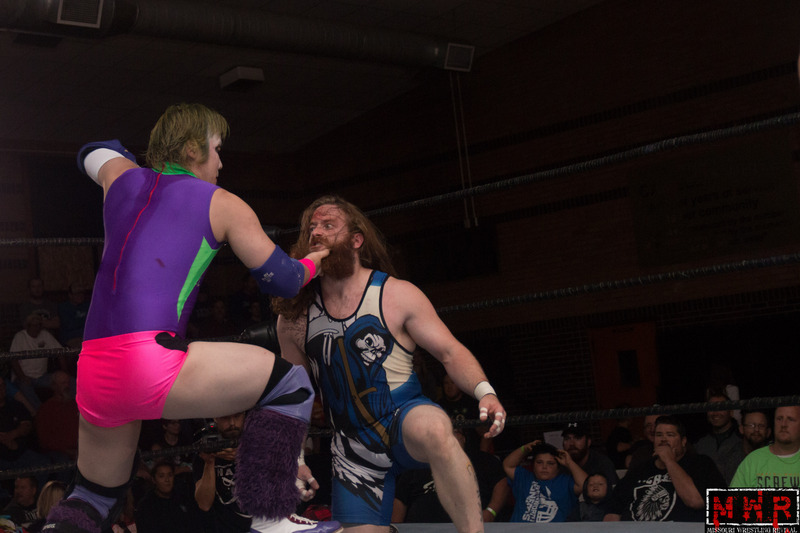 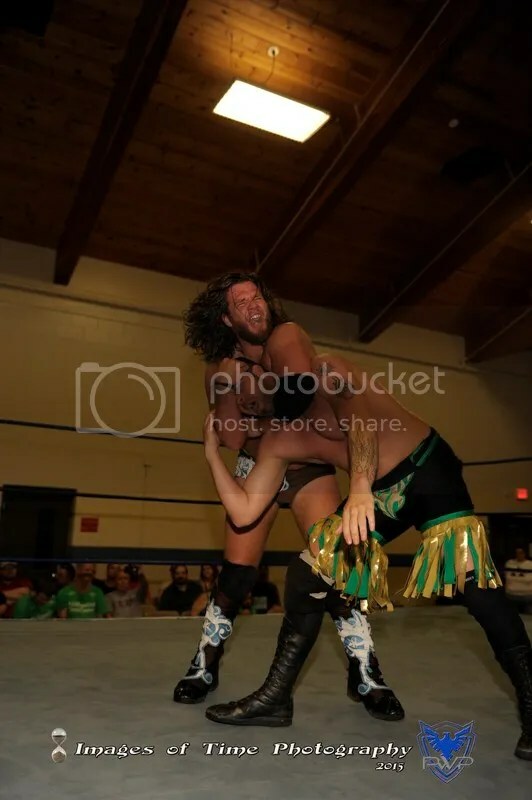 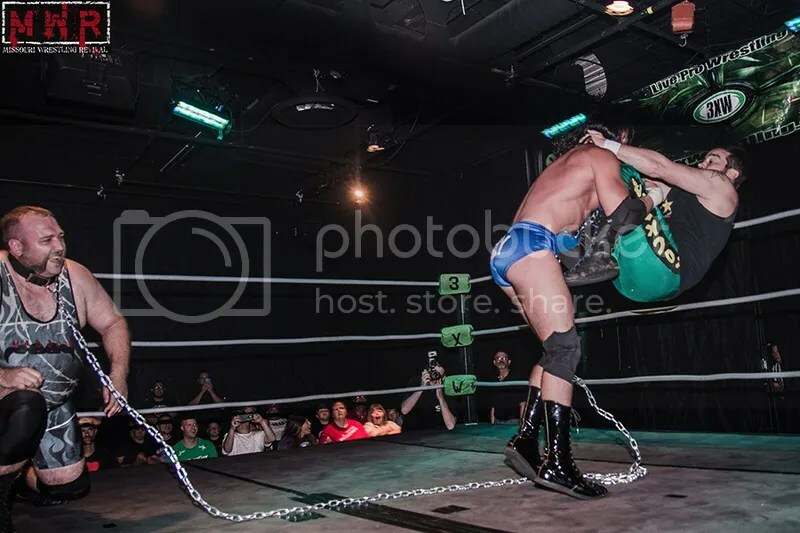 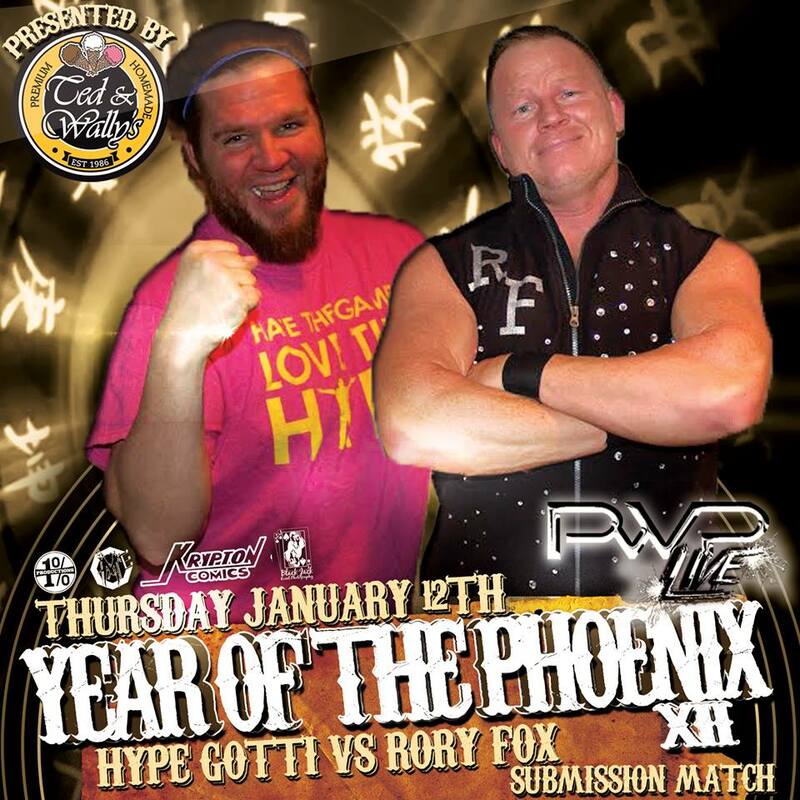 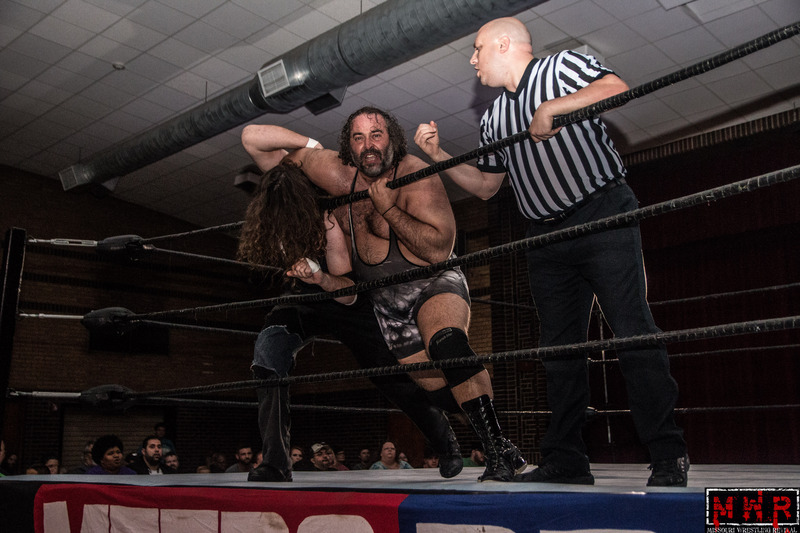 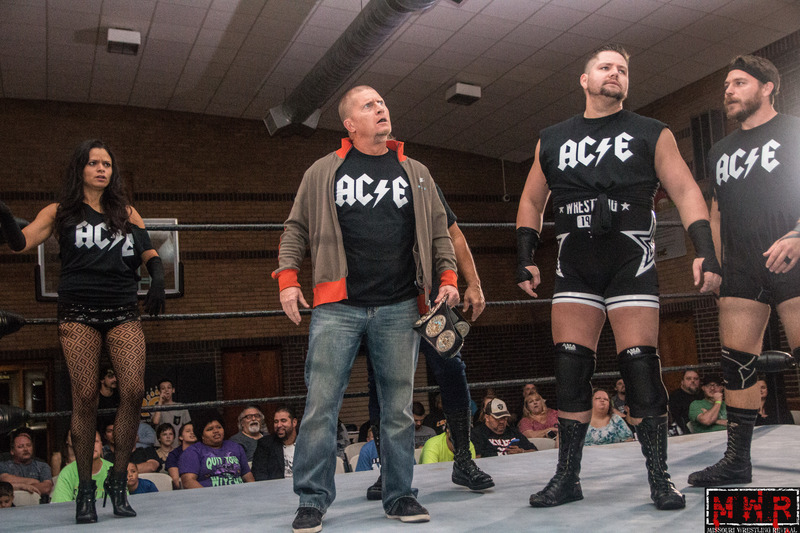 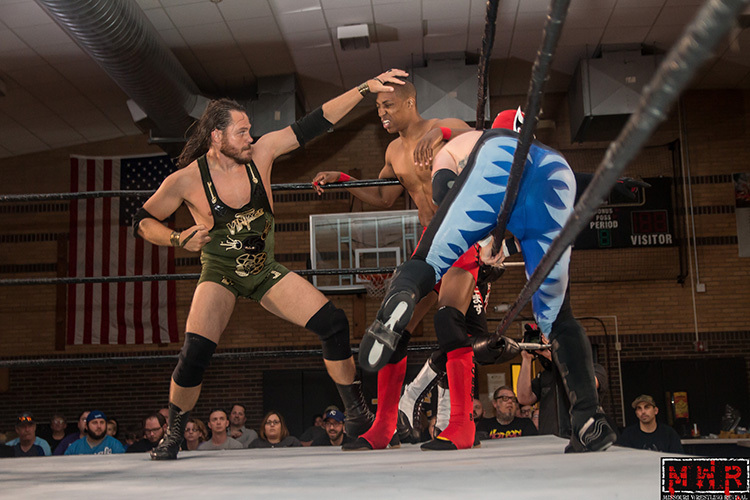 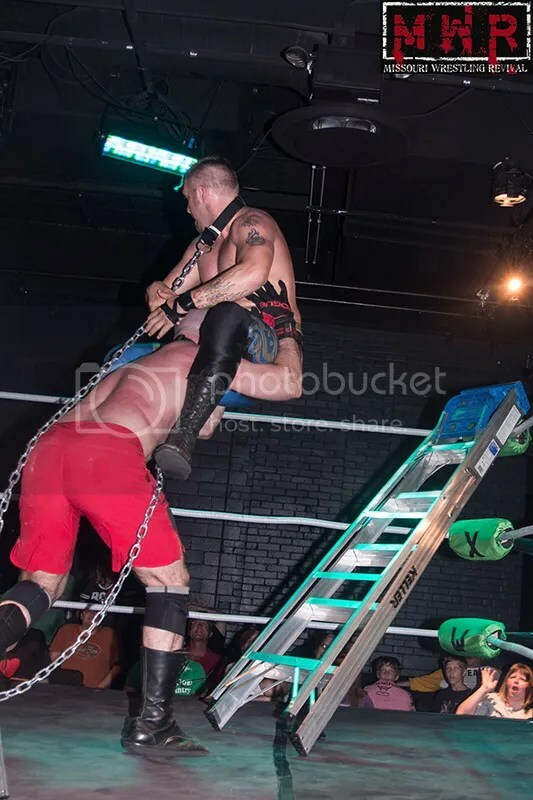 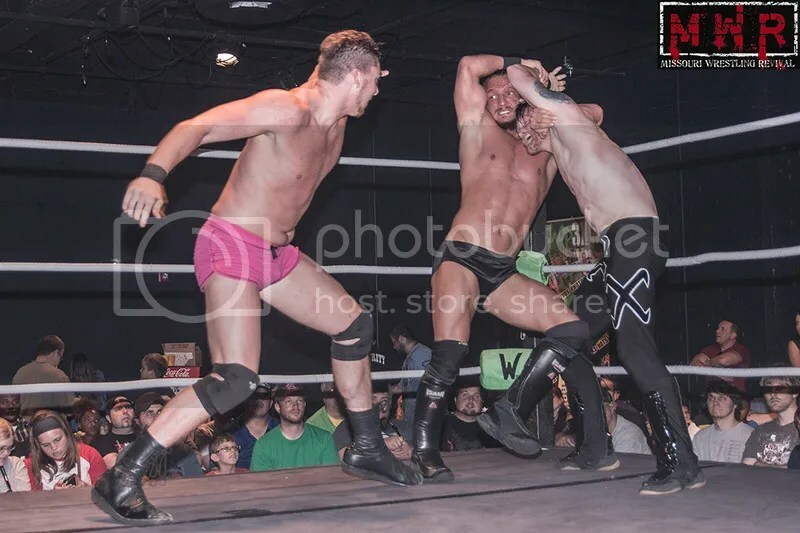 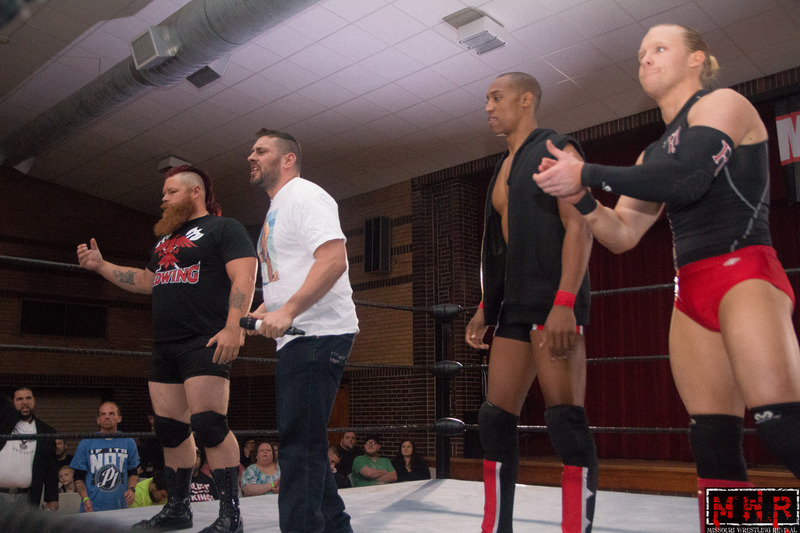 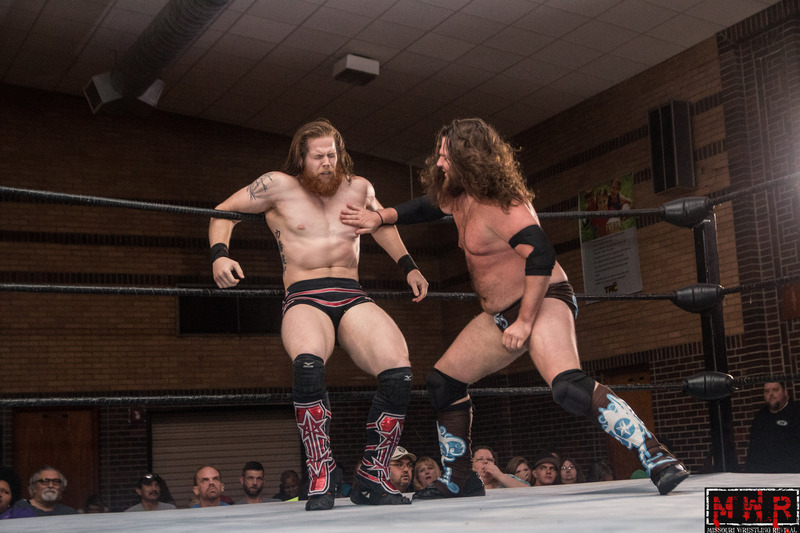 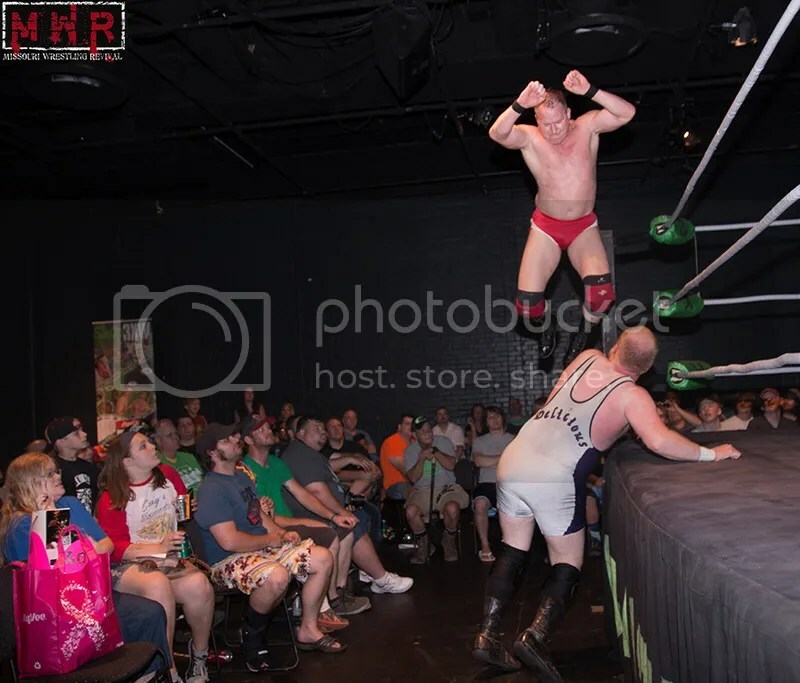 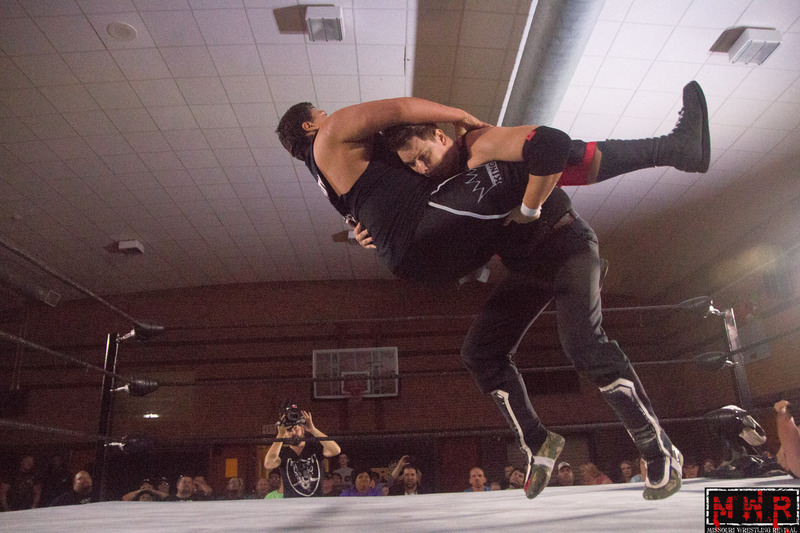 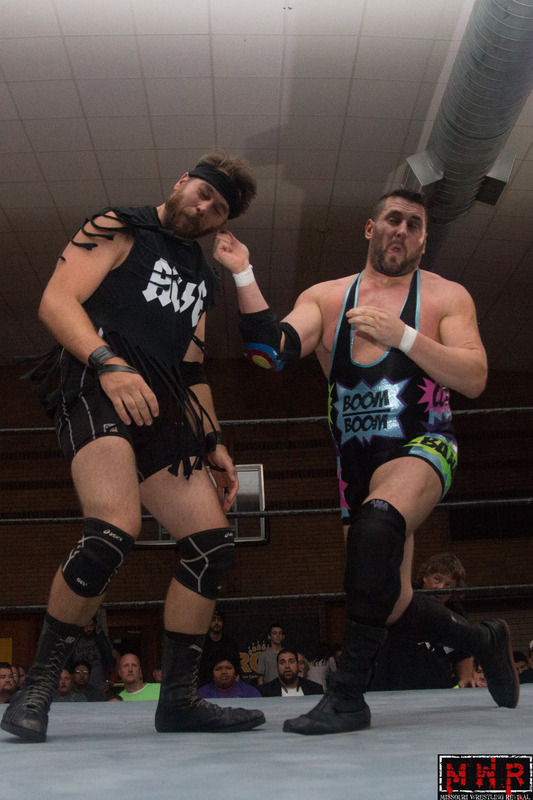 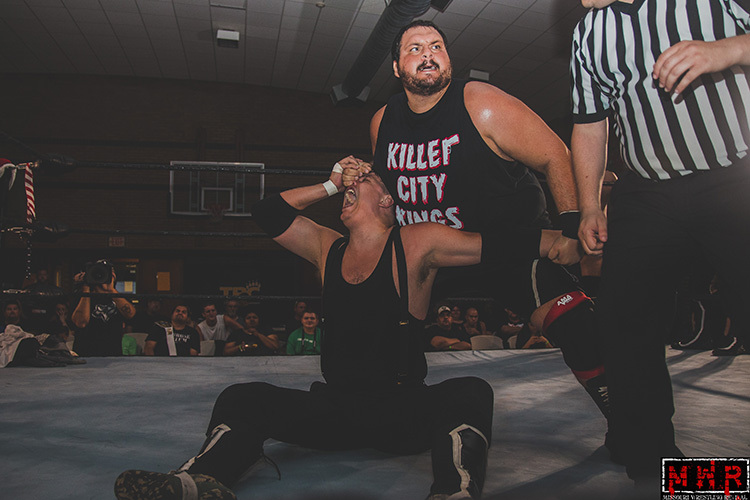 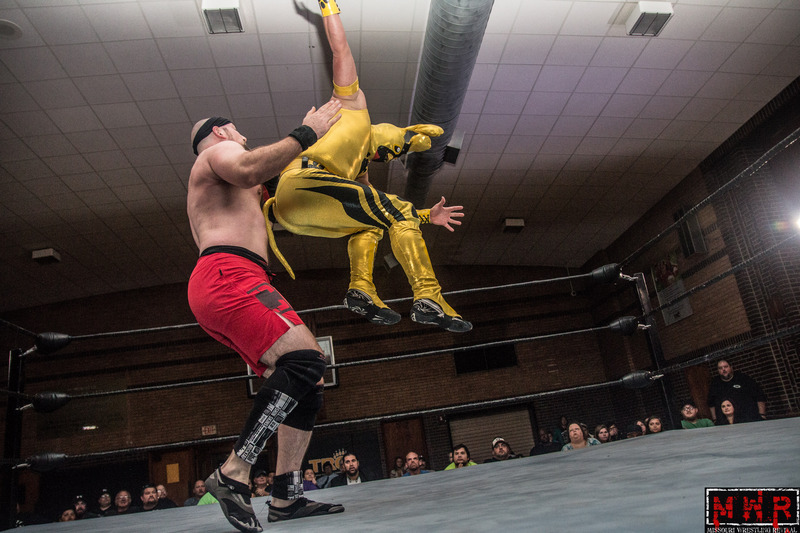 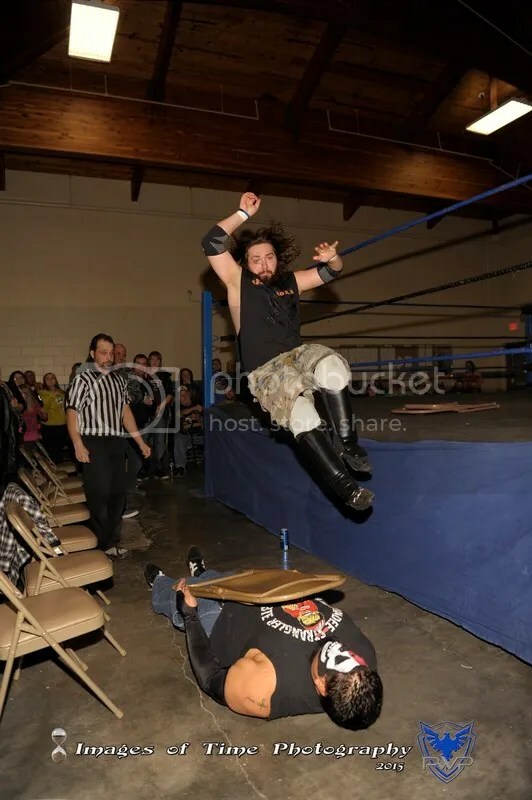 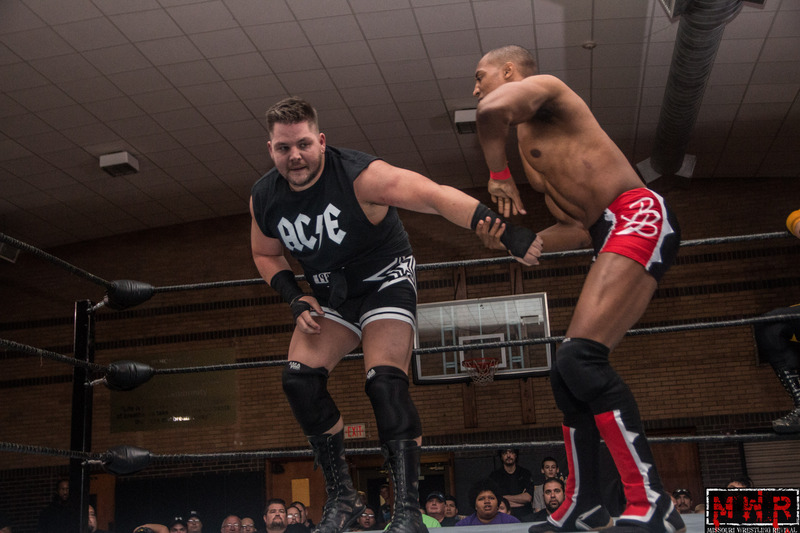 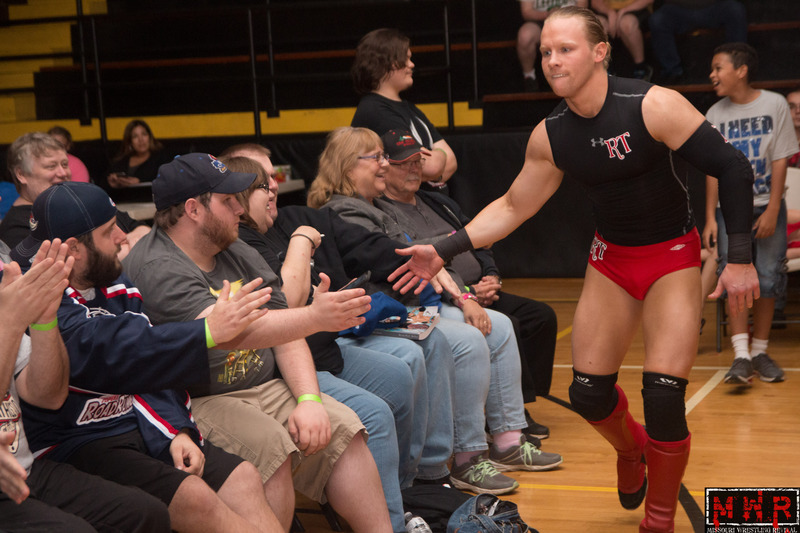 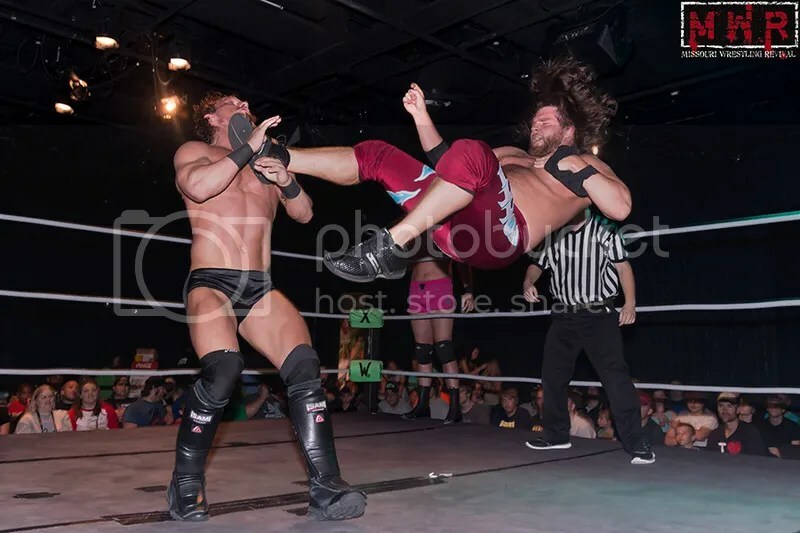 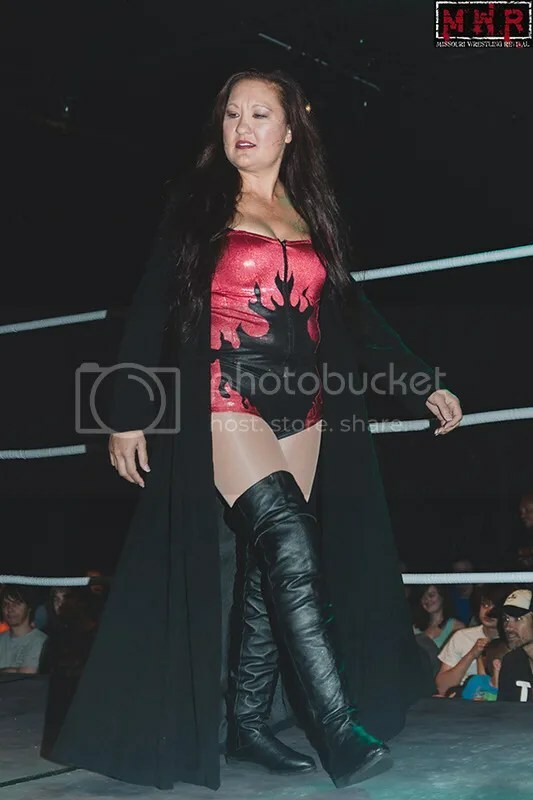 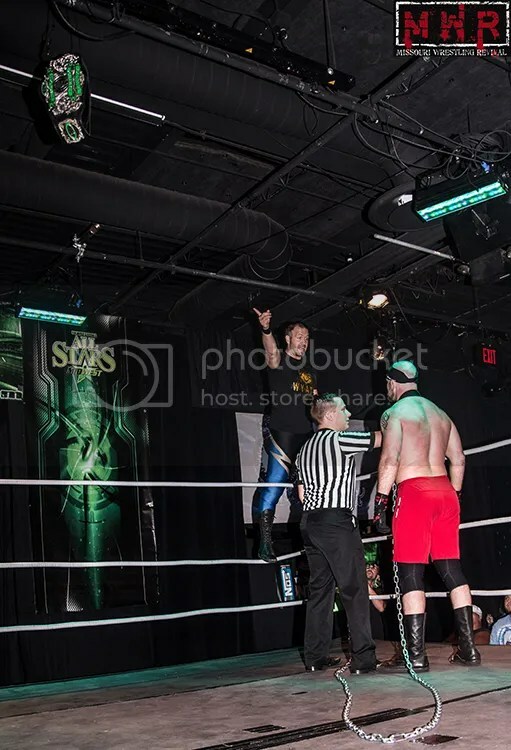 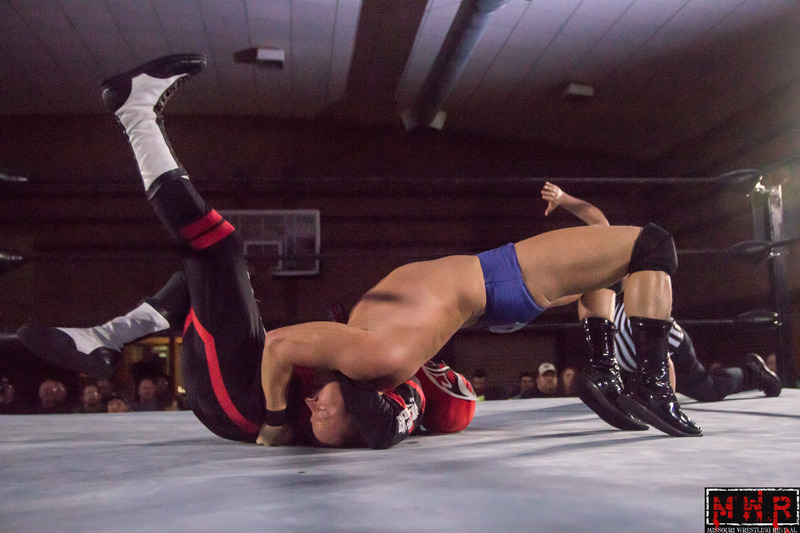 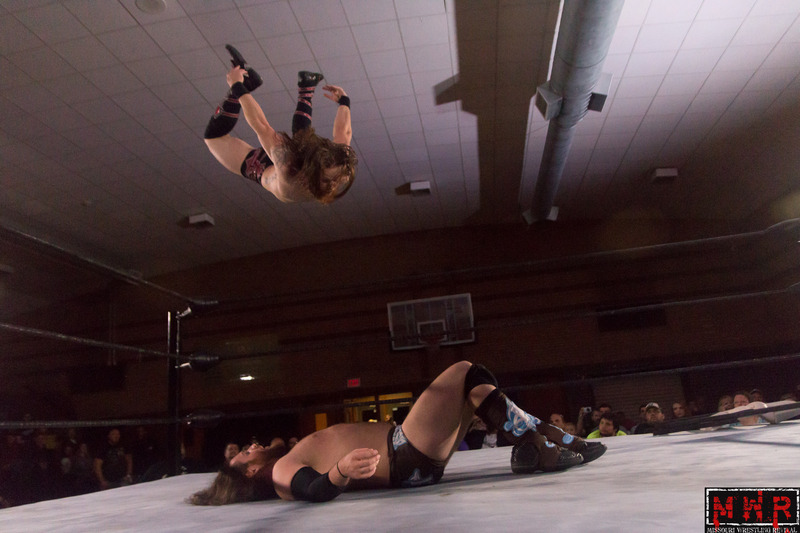 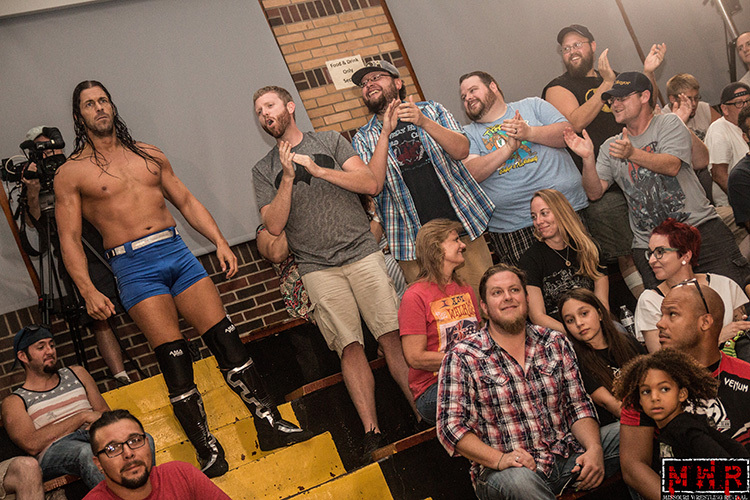 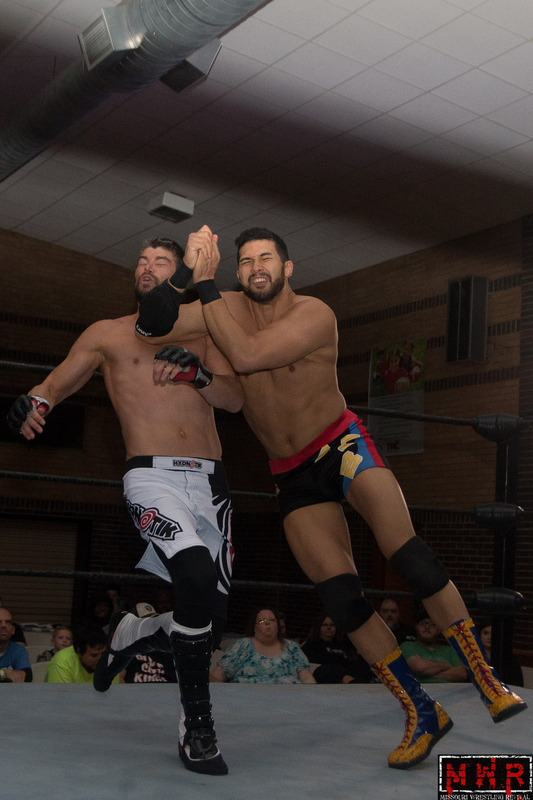 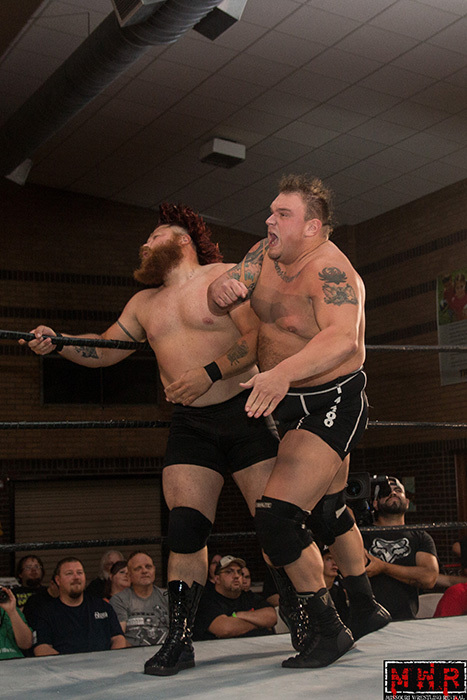 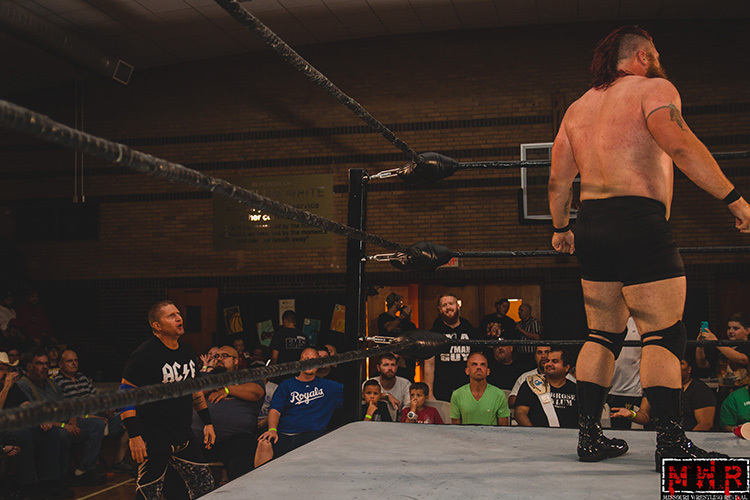 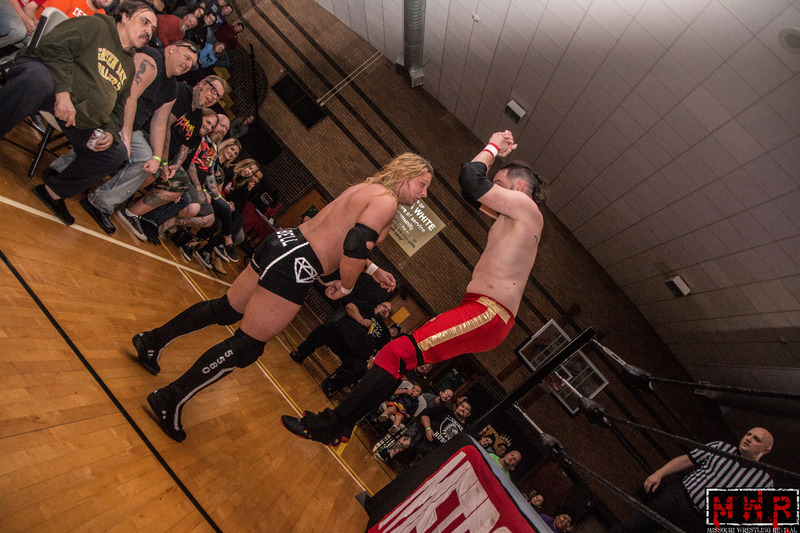 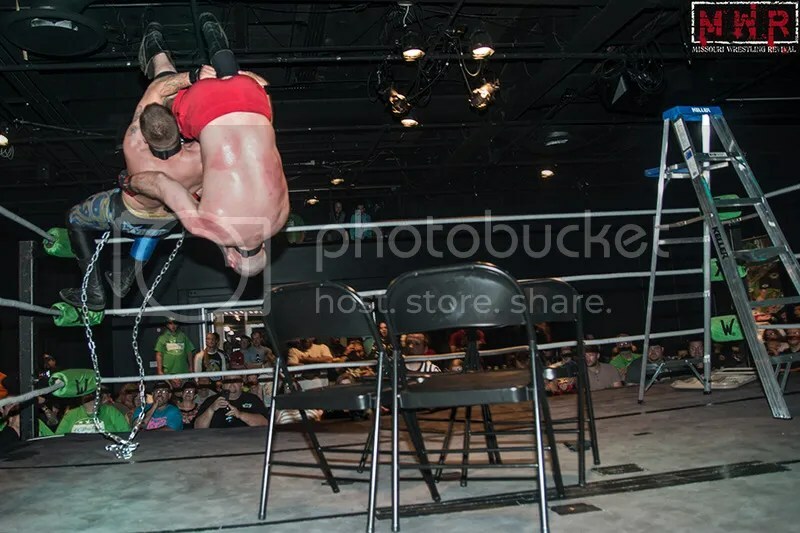 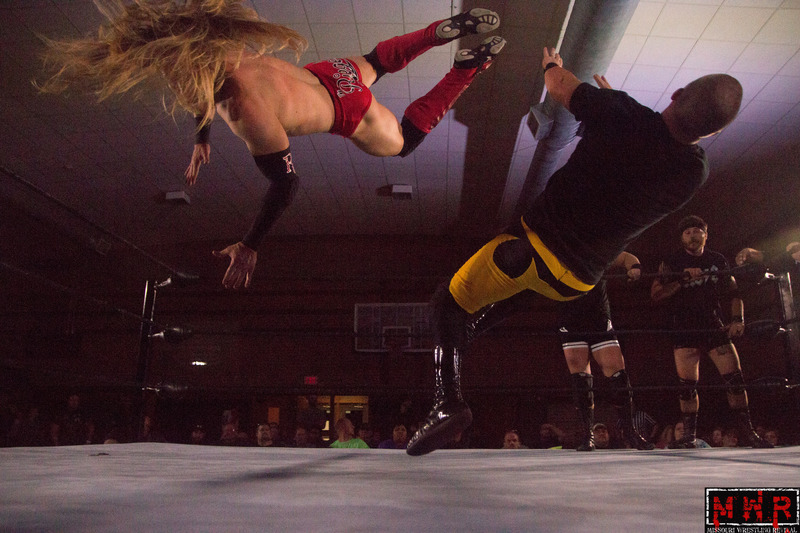 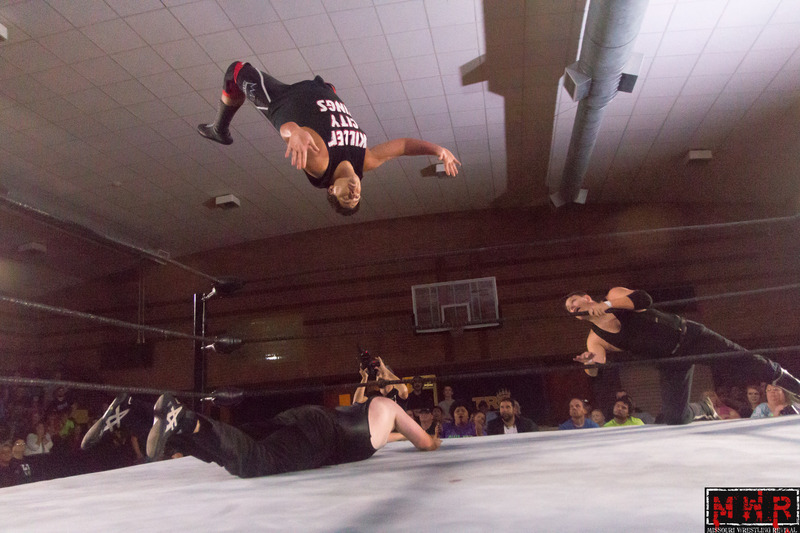 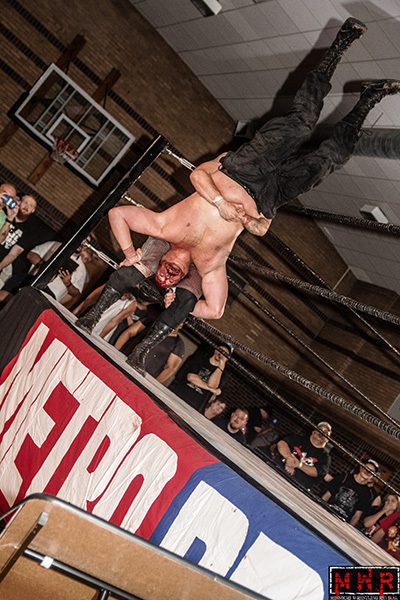 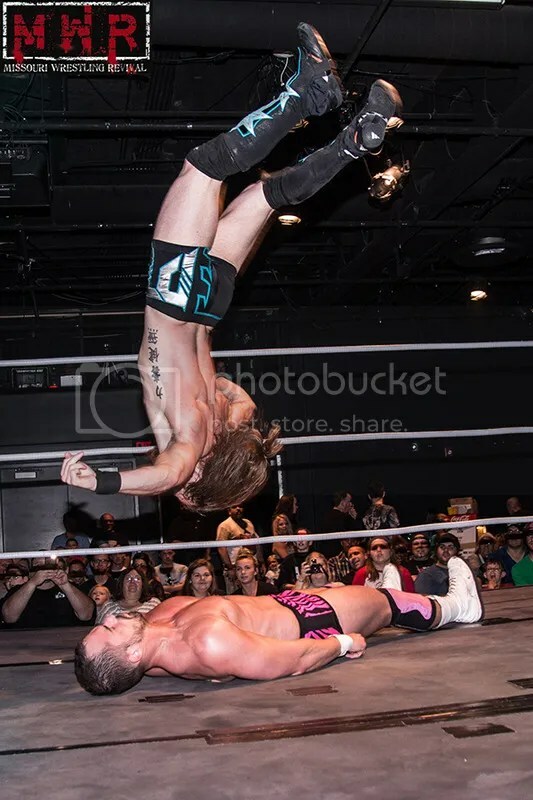 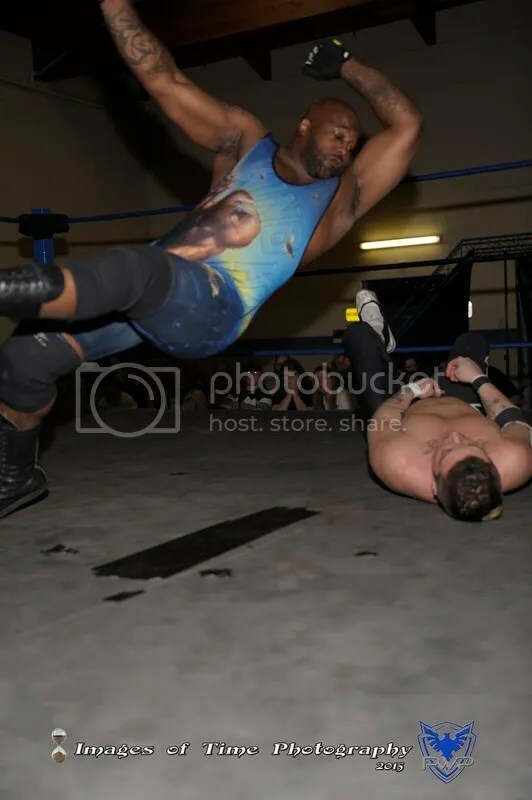 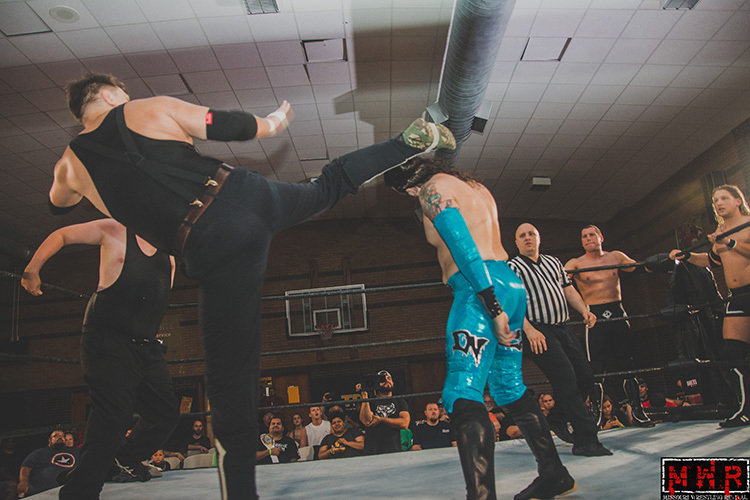 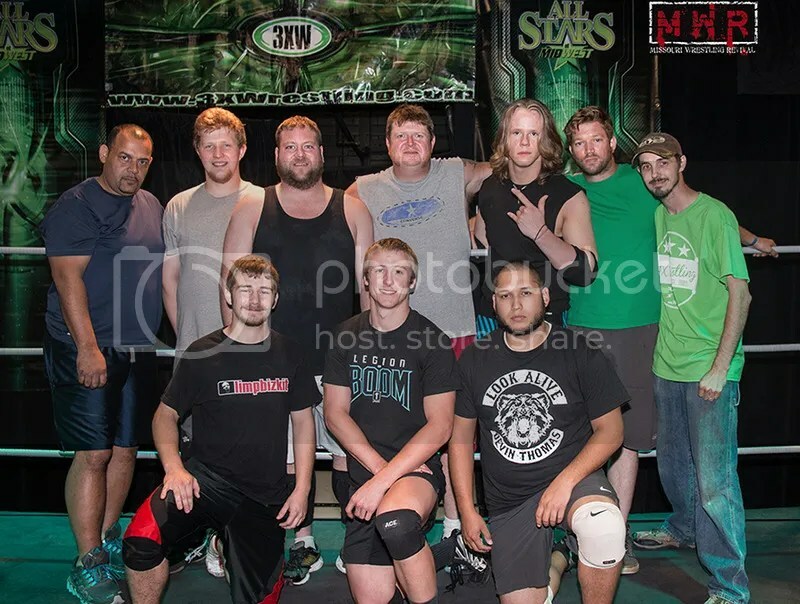 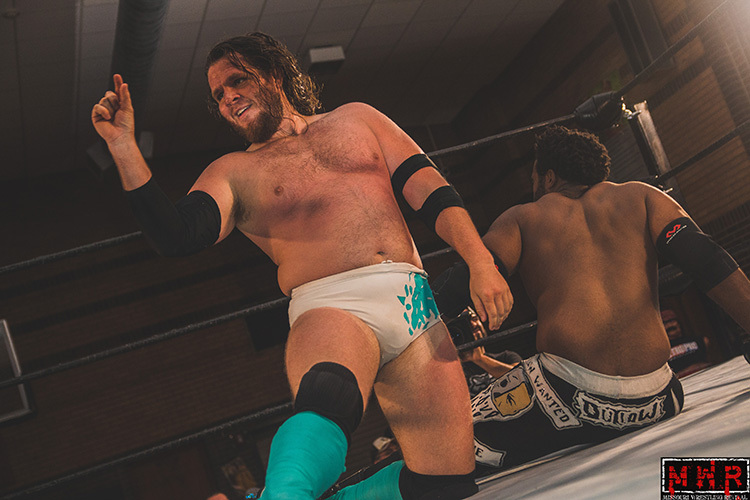 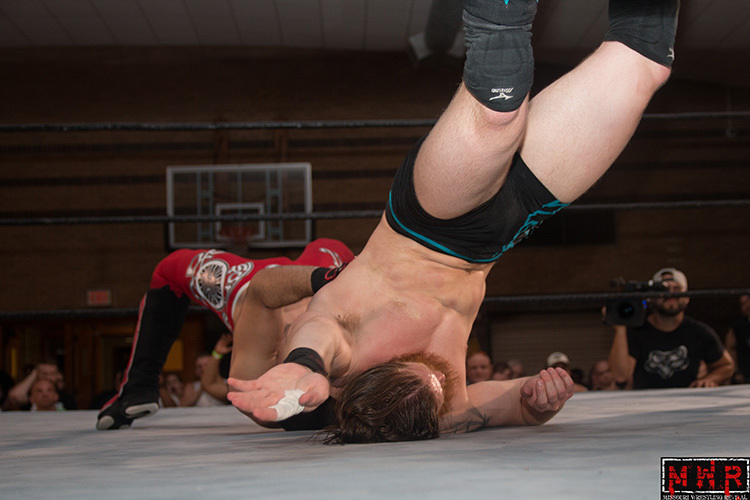 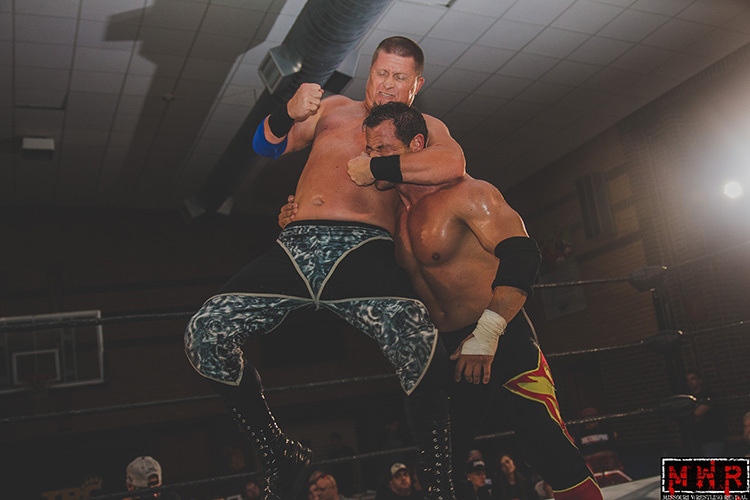 Zac James earned a shot at the Rising Phoenix Championship last month, however, as usual – The Greece Pit used underhanded tactics to hold on to the title. 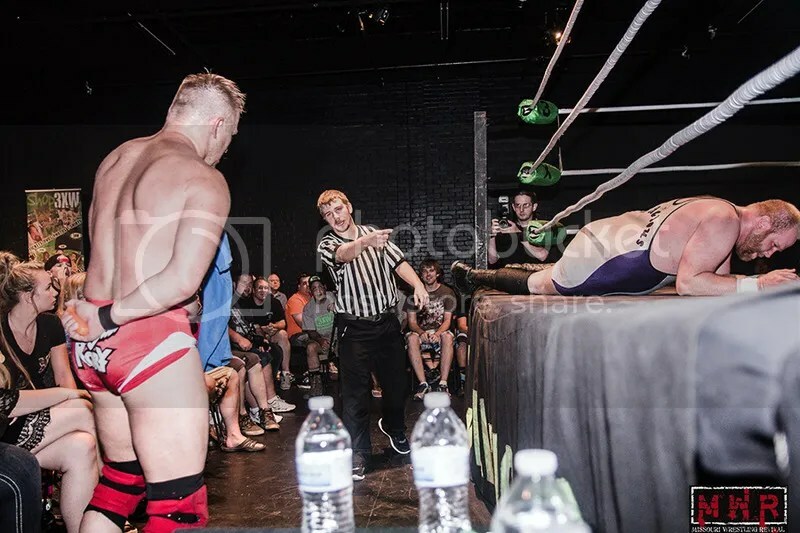 Zac James requested a rematch, and that request was granted! 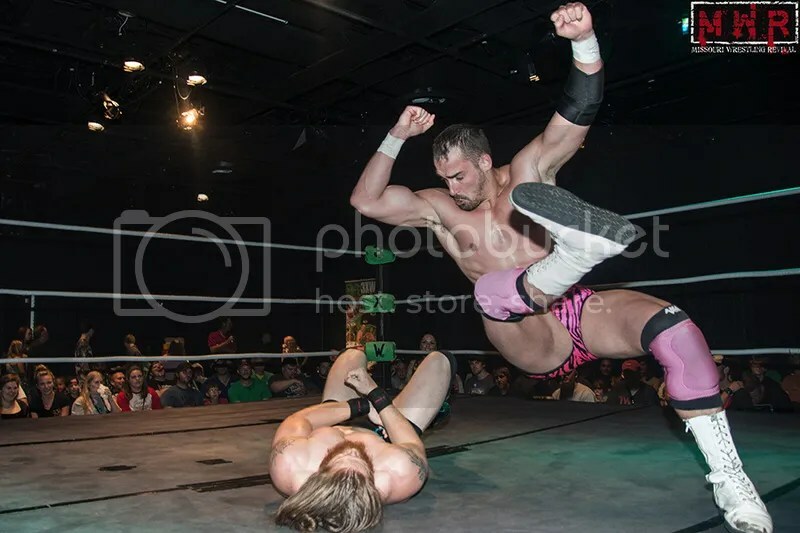 Zac will need to have his guard up more than ever if he wants to win the Rising Phoenix Championship, however he says he is more than ready, and will come out on top! 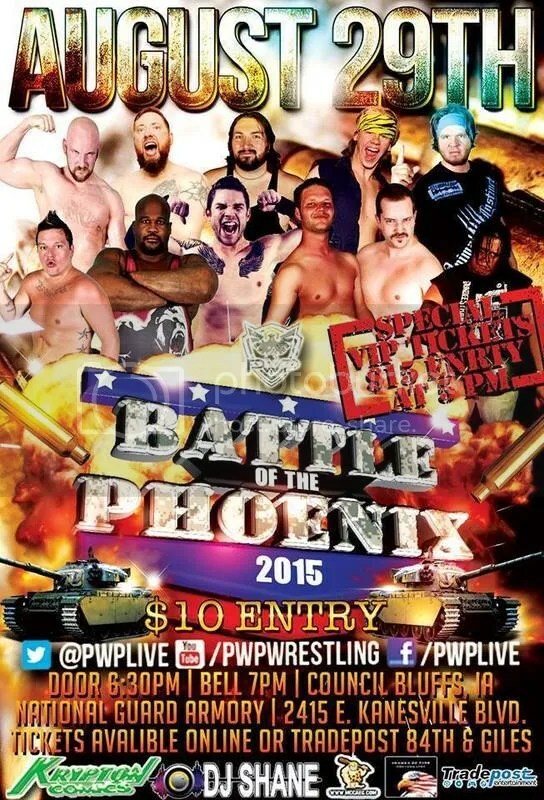 Be there on 7/31 to see how it goes down! 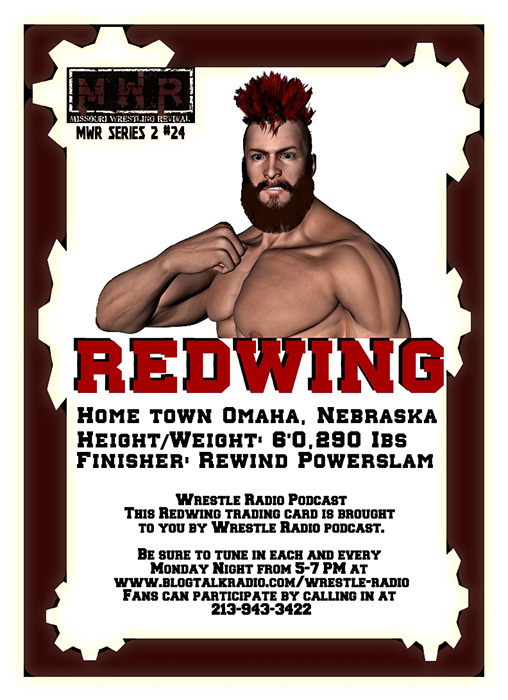 Available via Paypal at http://www.PWPlive.net – in person at CD Tradepost at 84th & Giles in Omaha – or at the door the day of!